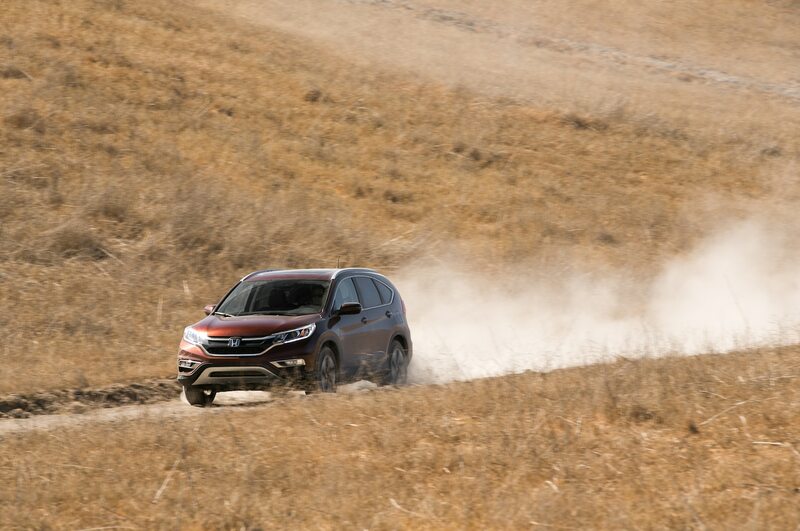 Honda has had to take a couple of mulligans lately. 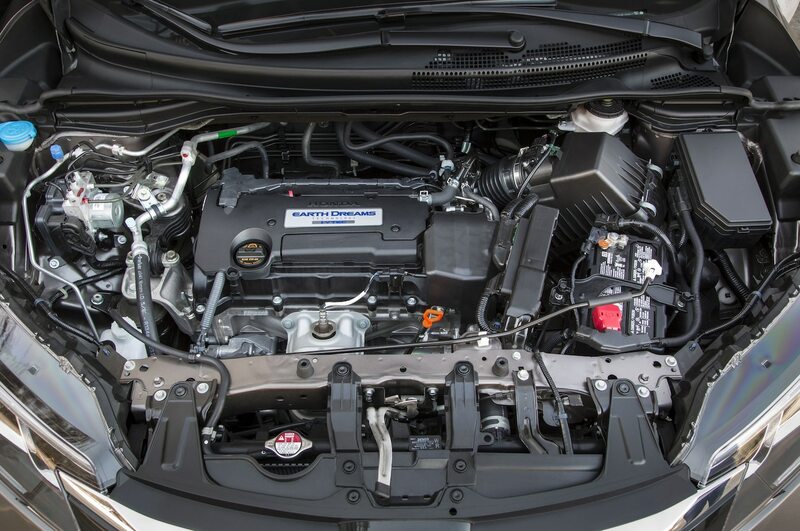 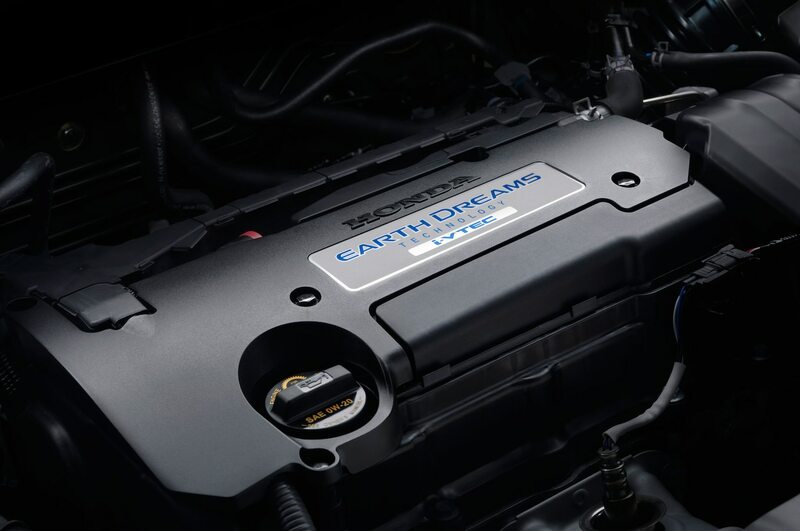 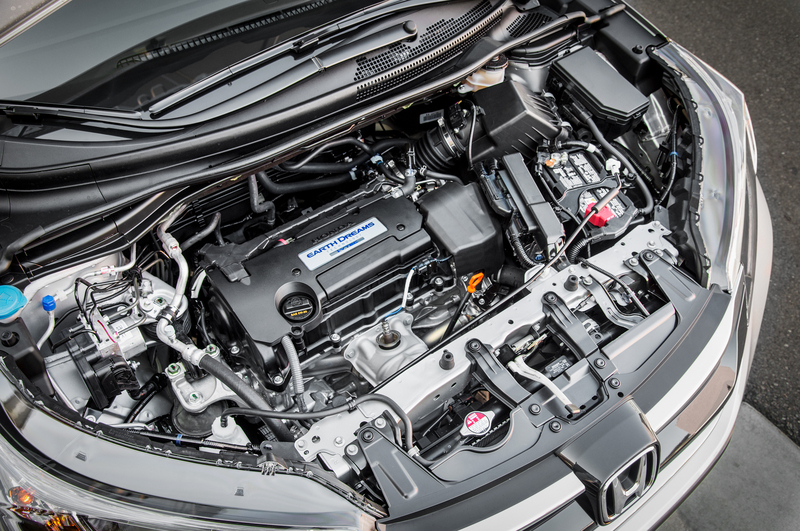 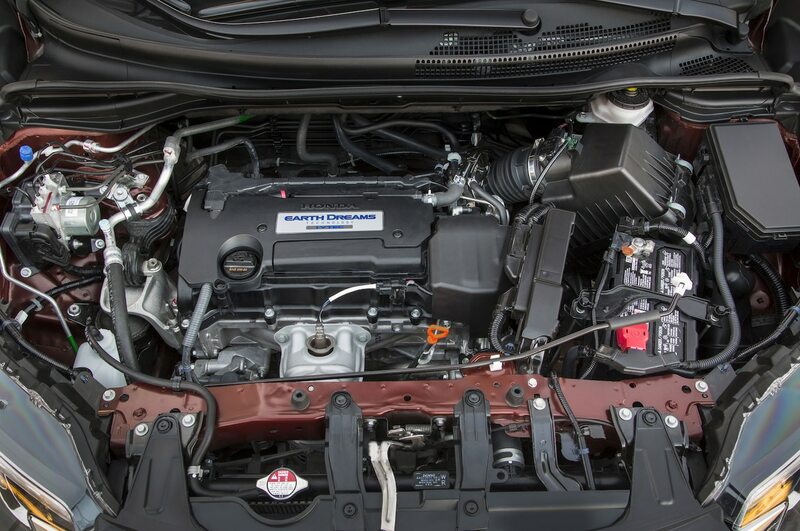 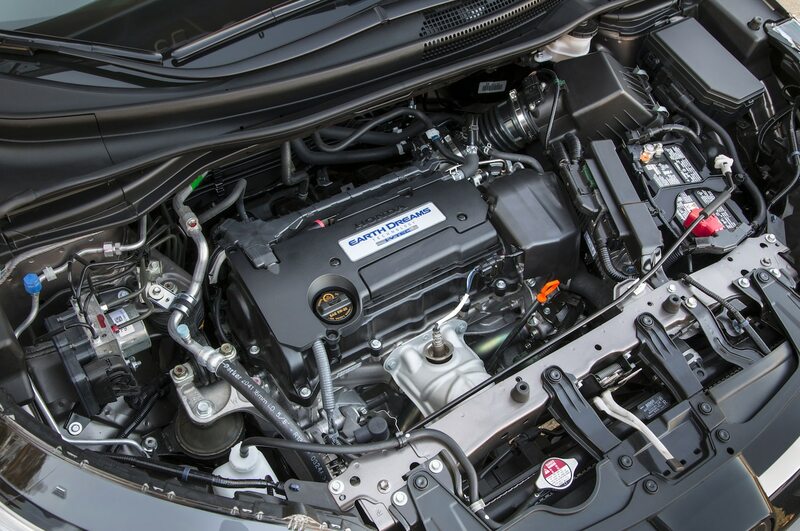 When the ninth-gen 2012 Civic launch fizzled, the car got a do-over for ’14, bringing much-needed styling and powertrain upgrades. 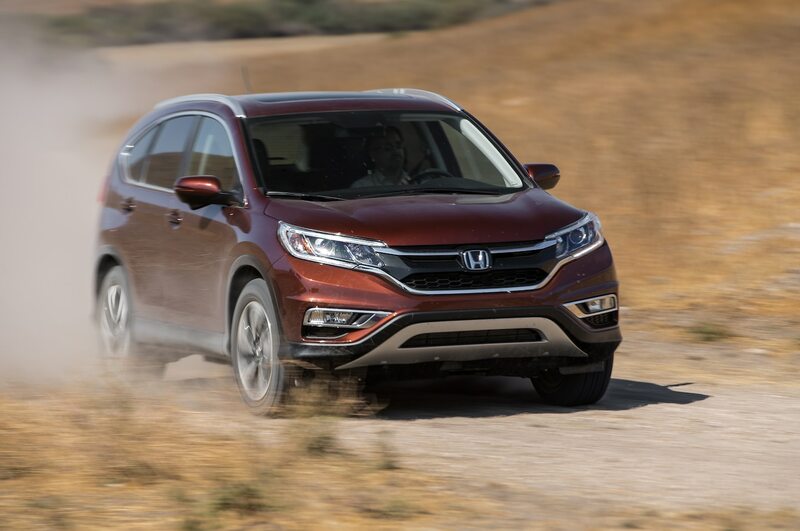 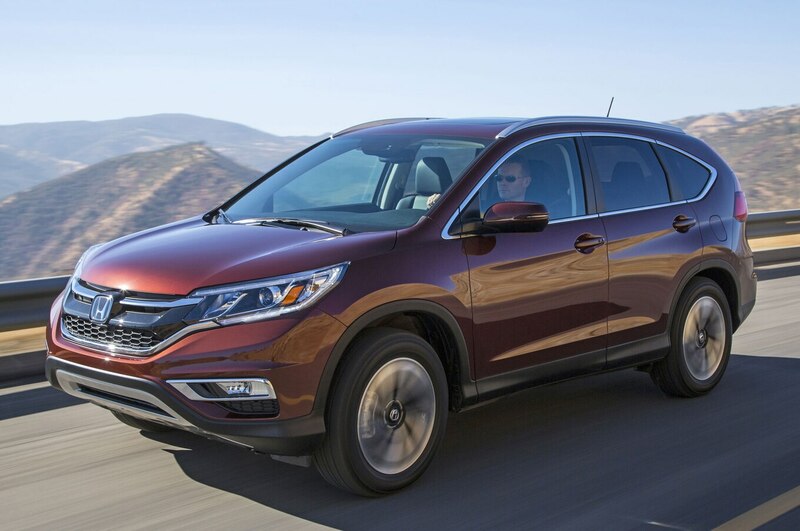 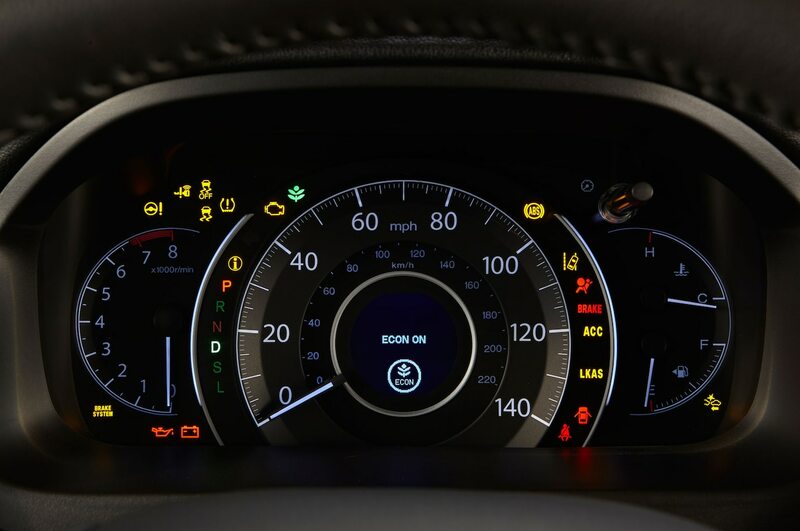 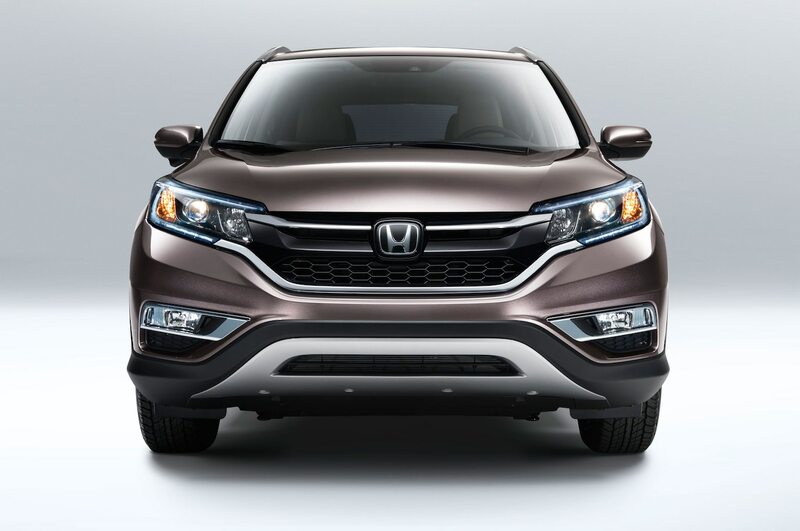 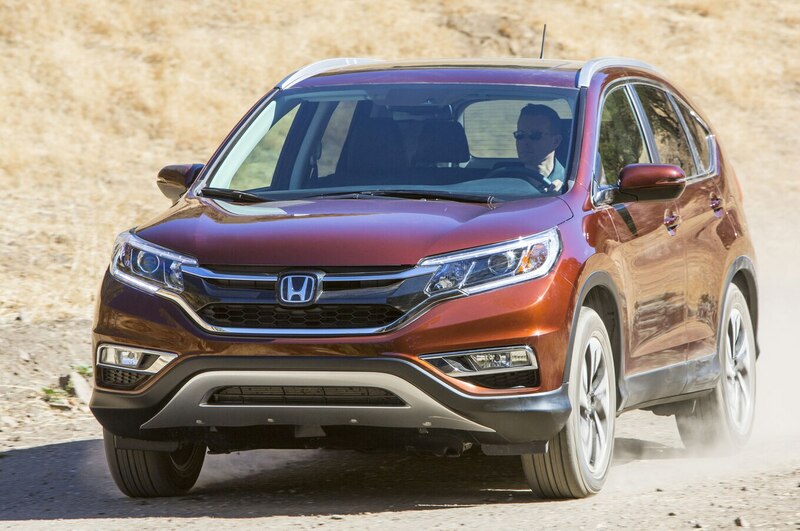 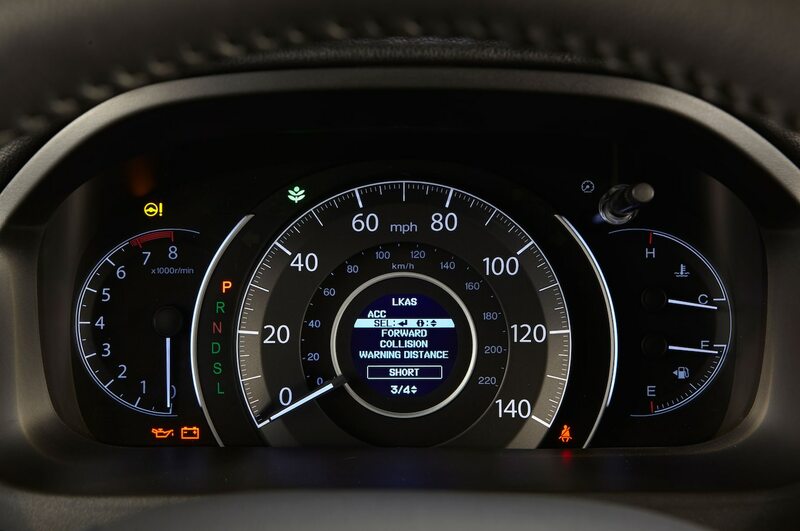 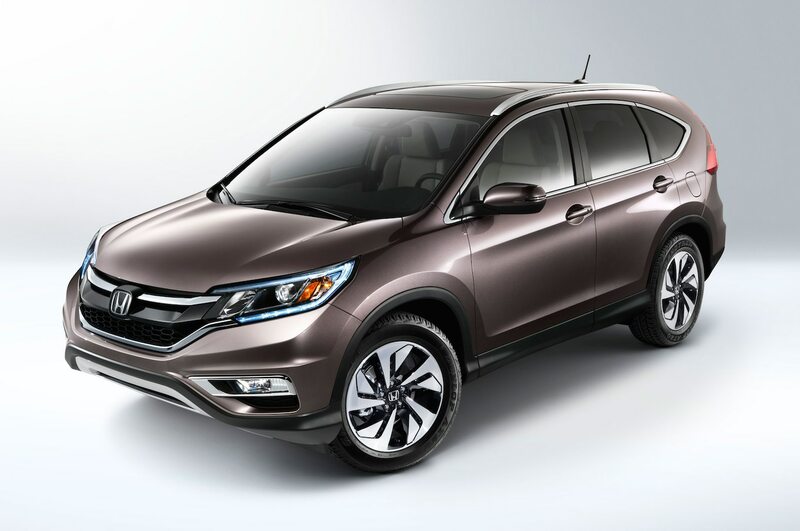 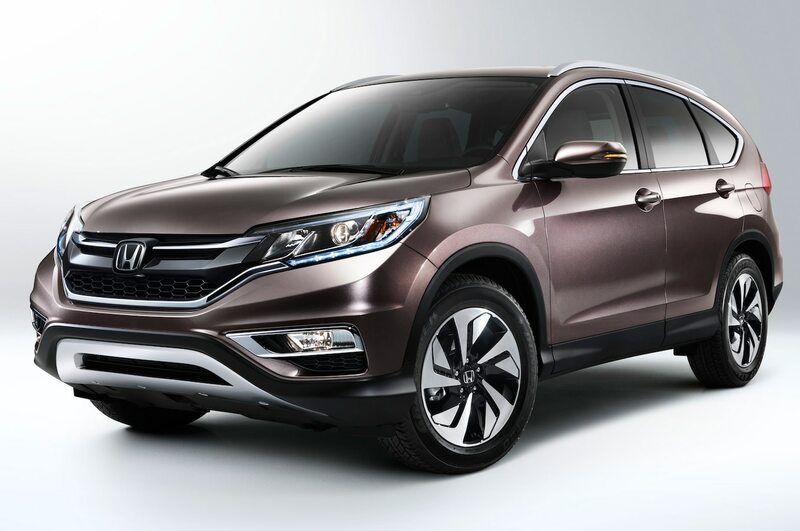 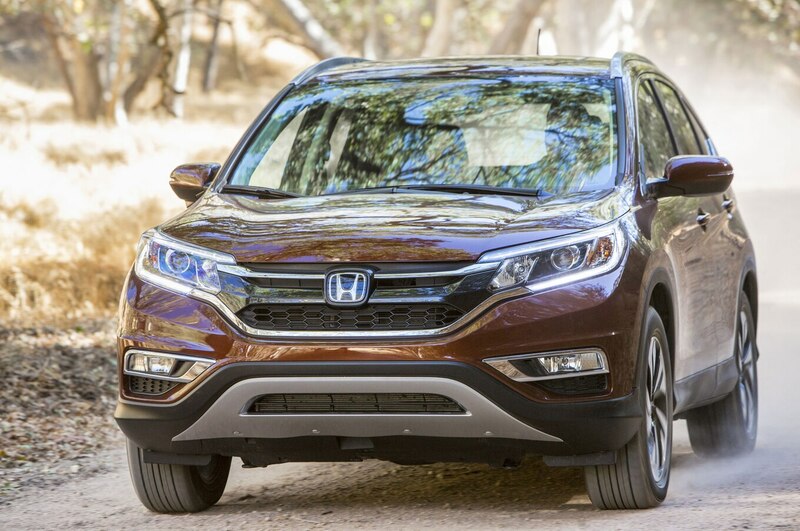 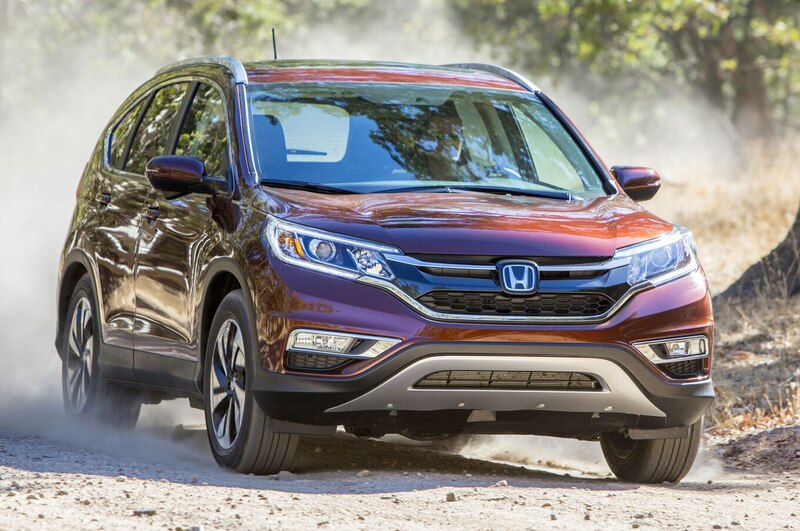 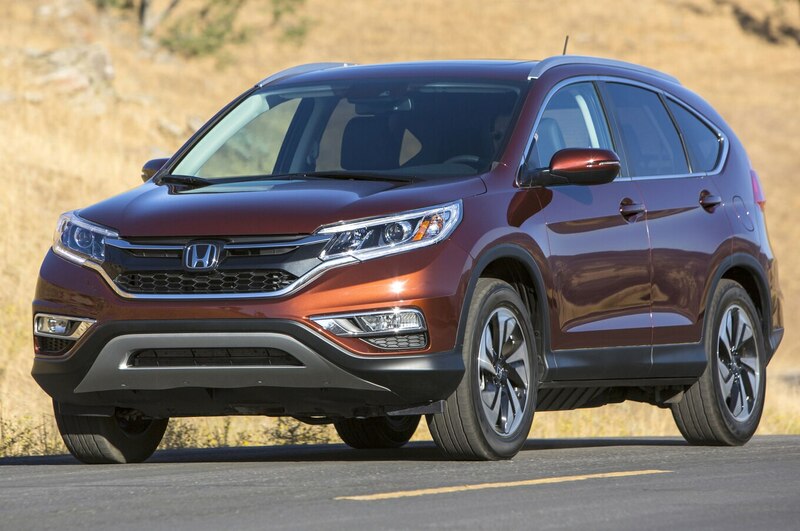 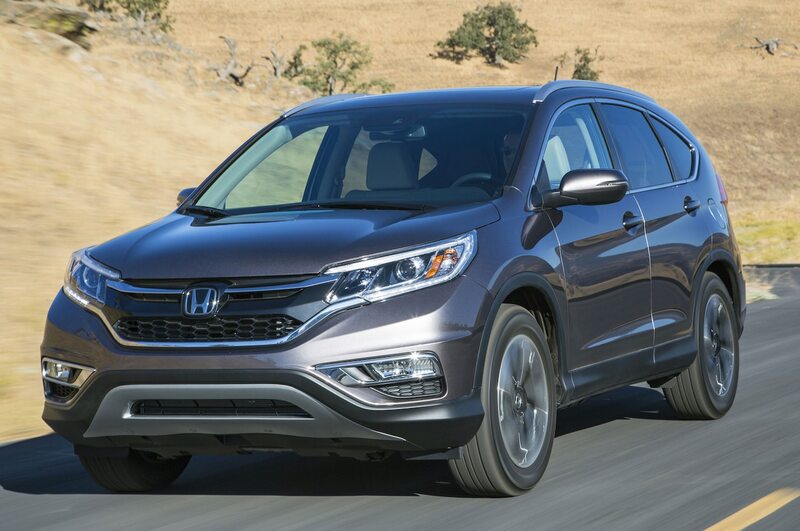 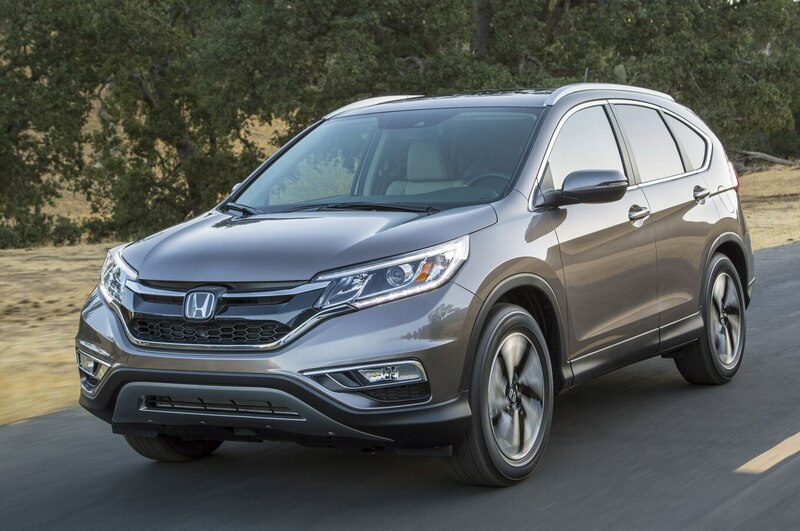 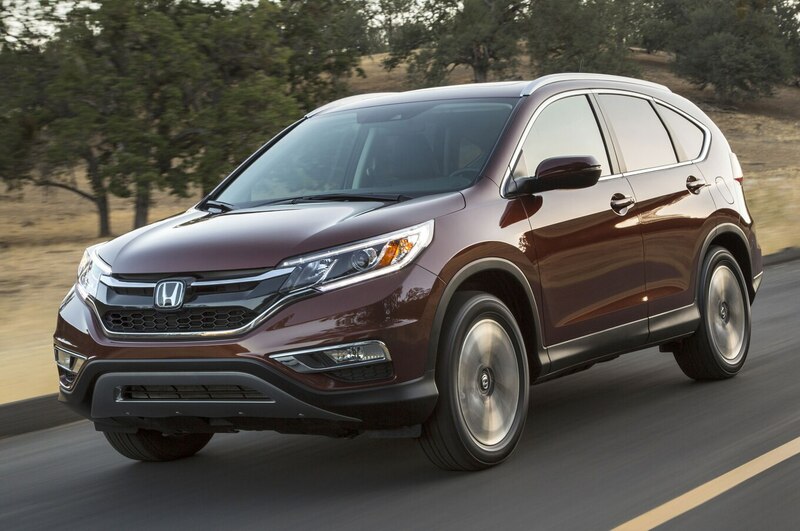 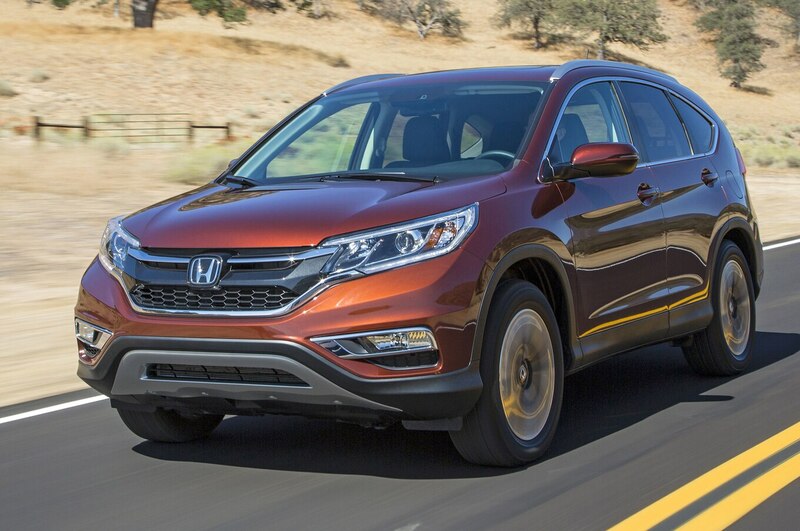 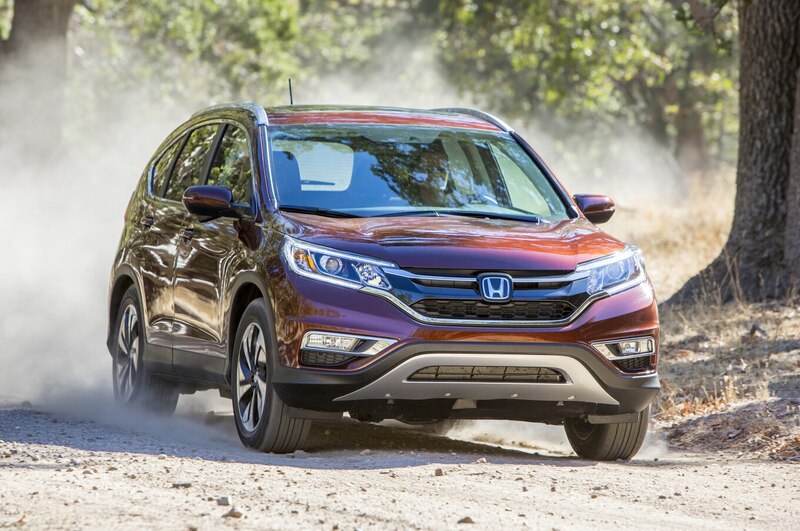 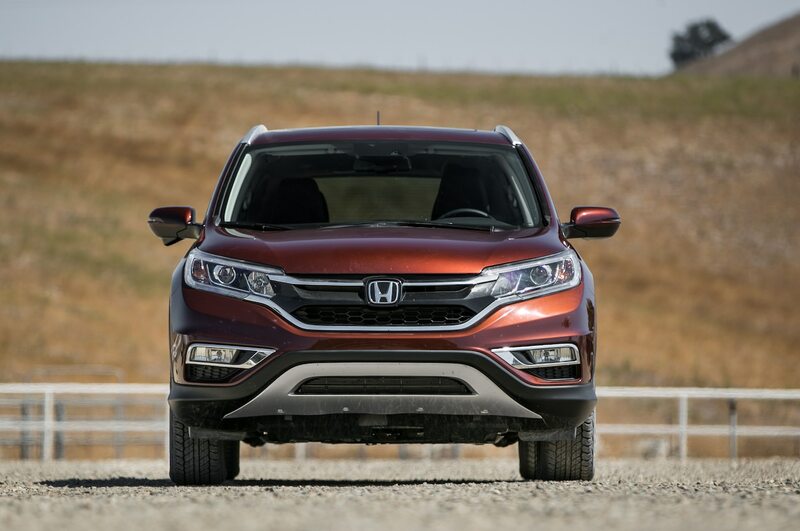 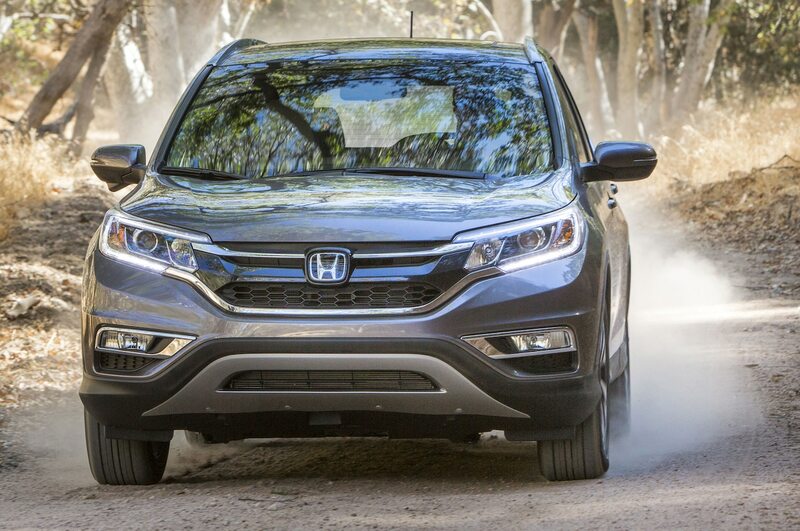 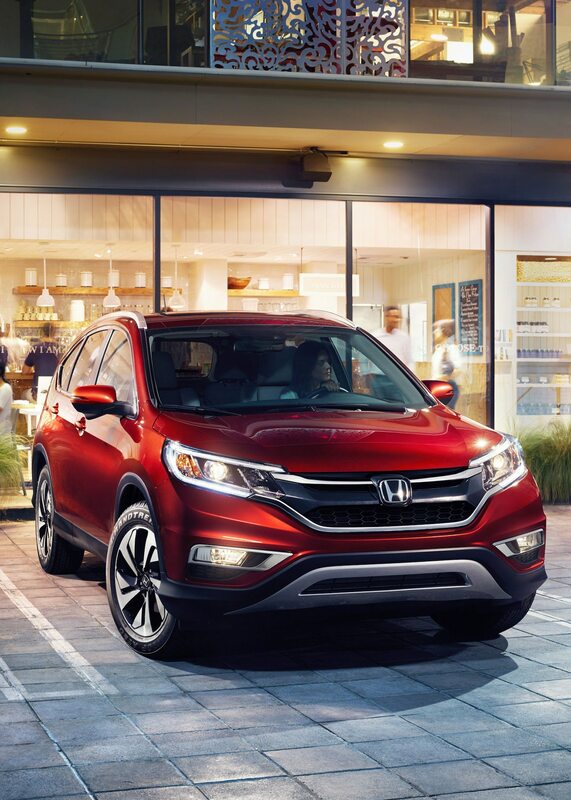 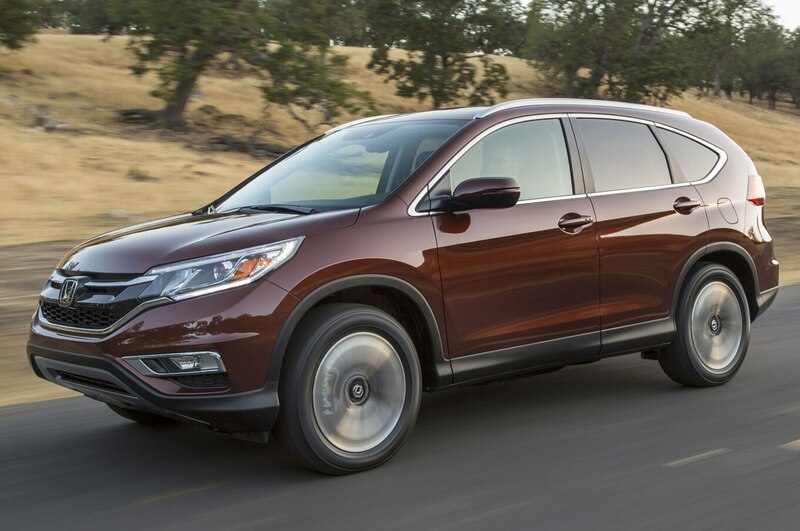 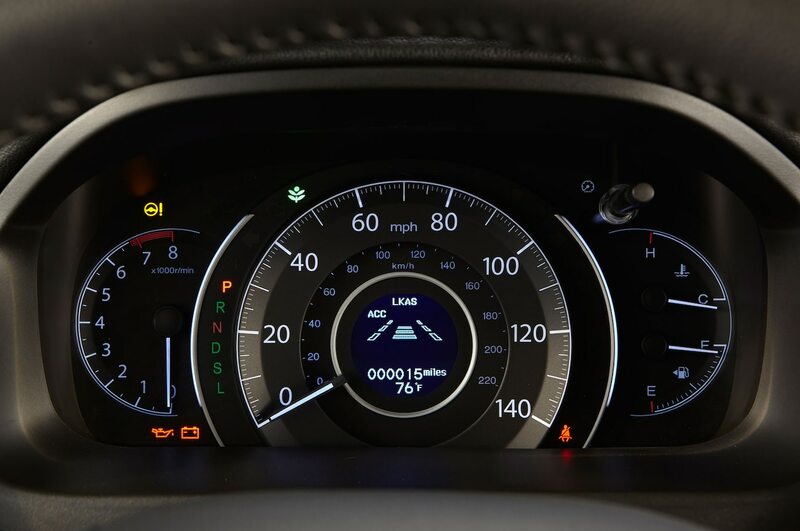 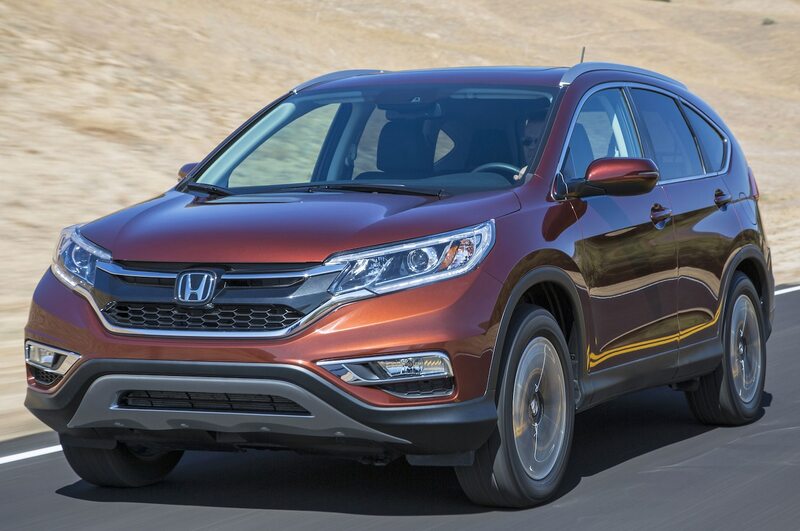 Similarly, the fourth-gen 2012 CR-V missed the small-overlap crash-test boat, earning a “marginal” rating that nixed its chances at the coveted Top Safety Pick ranking. 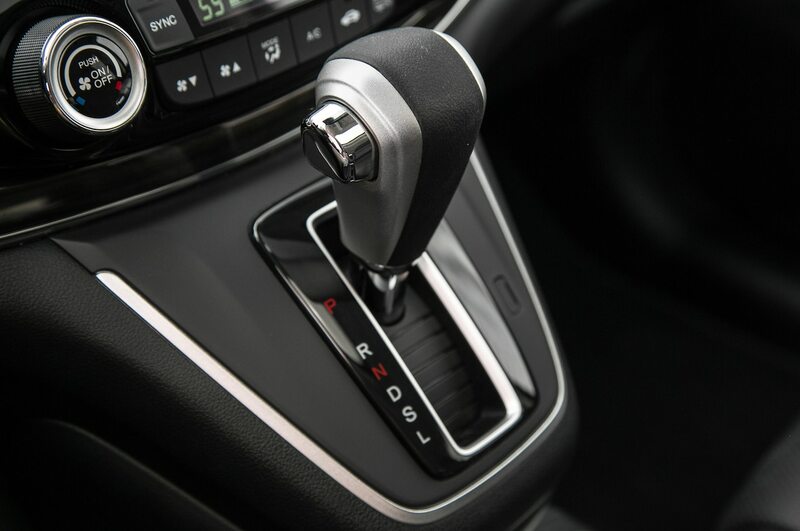 It also drew criticism for being less fun to drive than its rivals, due in part to its quaint old five-speed automatic. 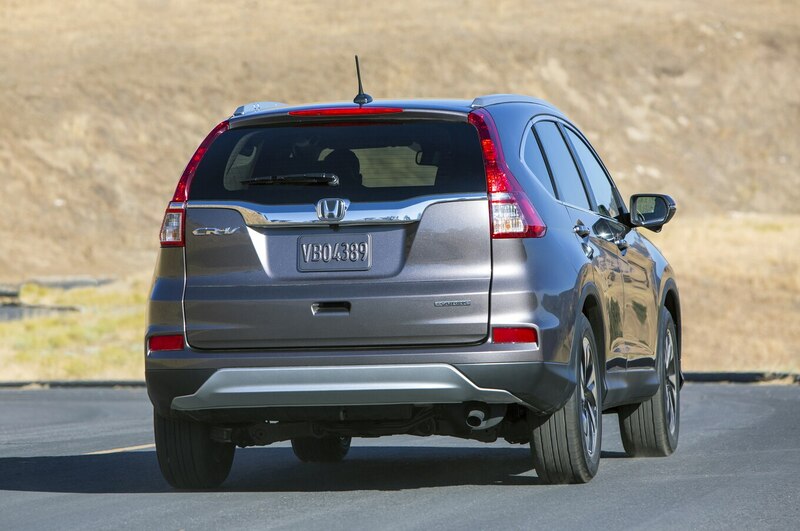 The fix: a 2015 reboot, and a second chance. 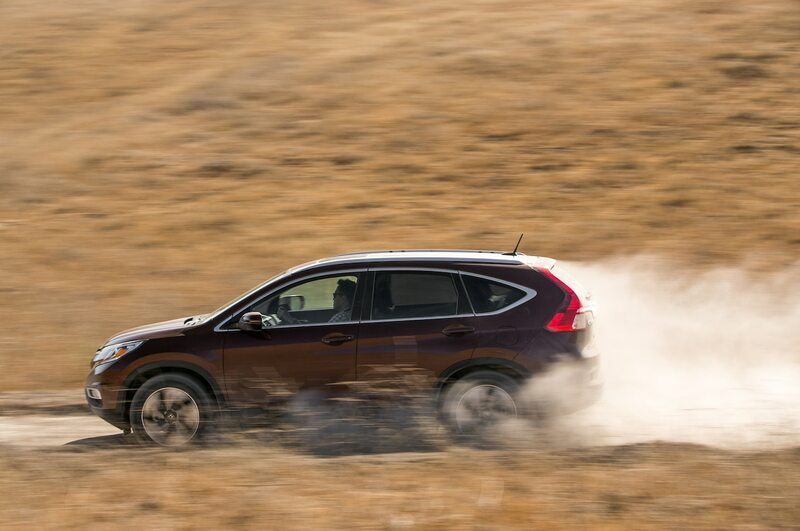 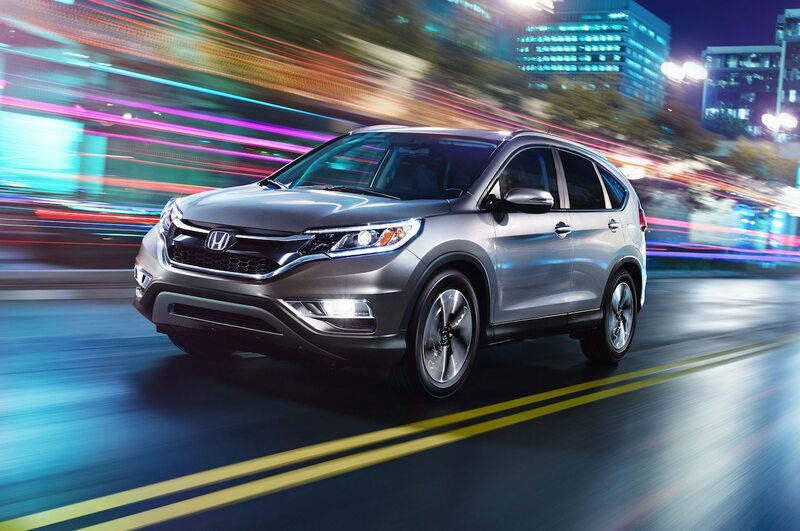 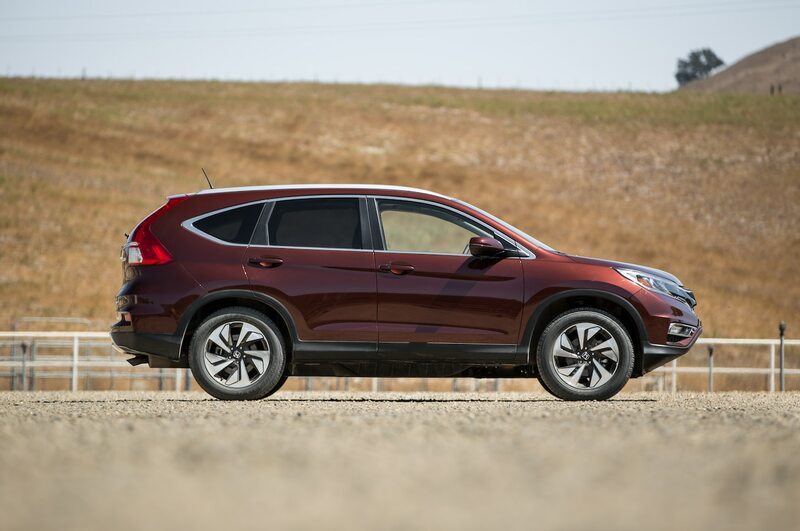 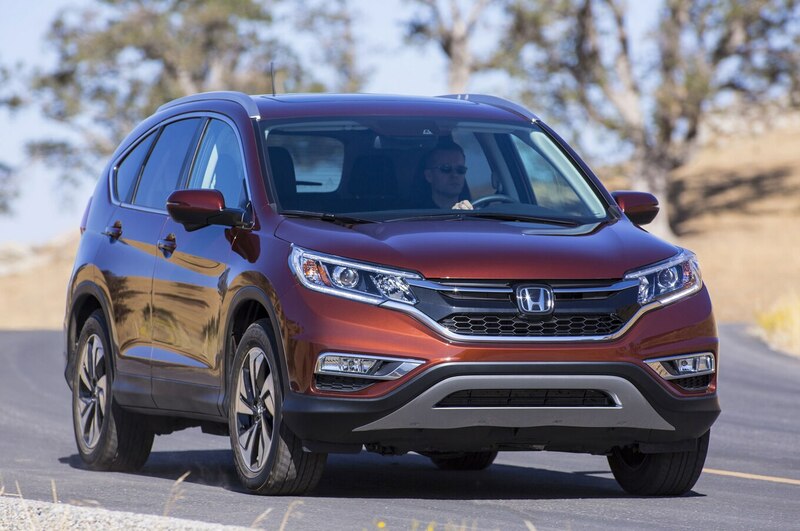 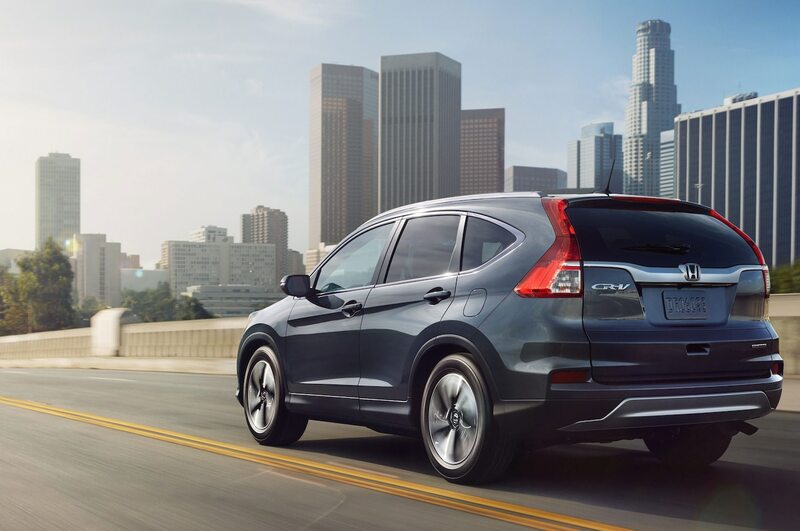 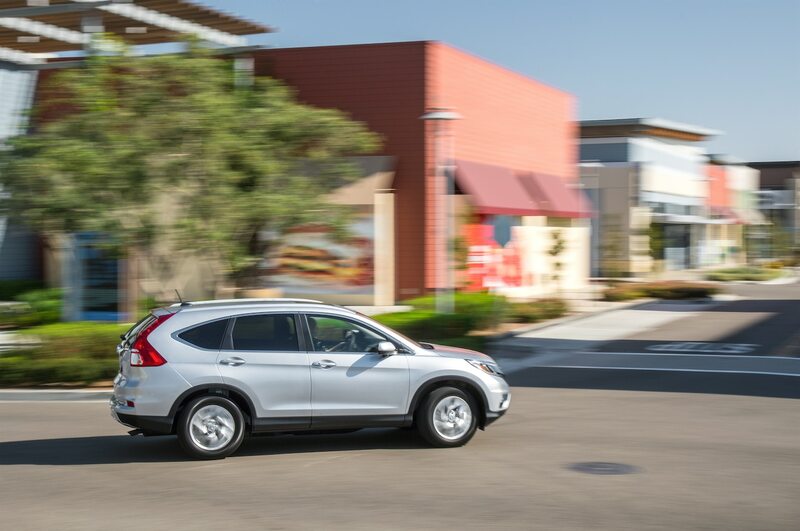 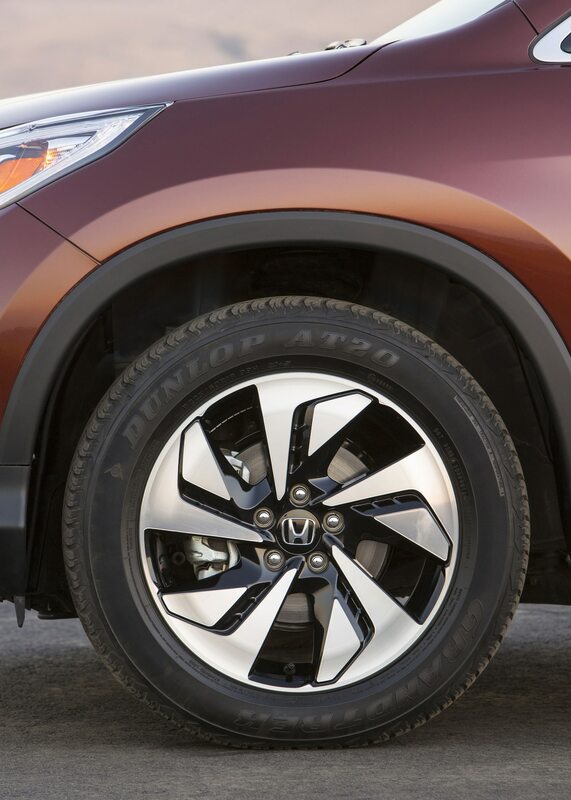 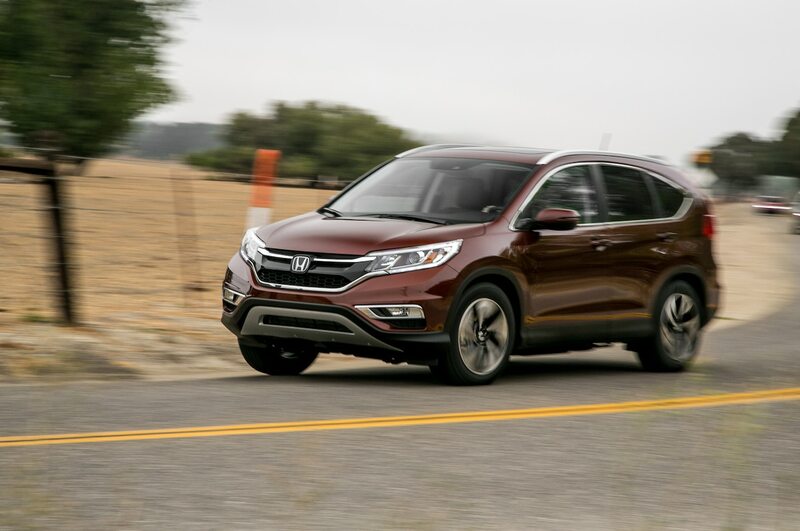 We’re open-minded about second chances — mid-cycle fixes earned the 2010 Fusion our Car of the Year calipers — so let’s see how Honda’s redemption-edition CR-V stacks up against the criteria. 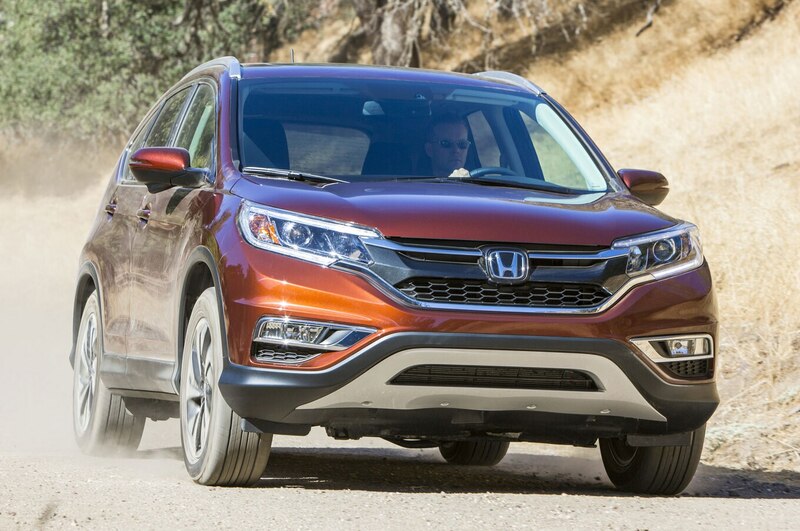 See the SUV of the Year contenders, finalists and how they fared. 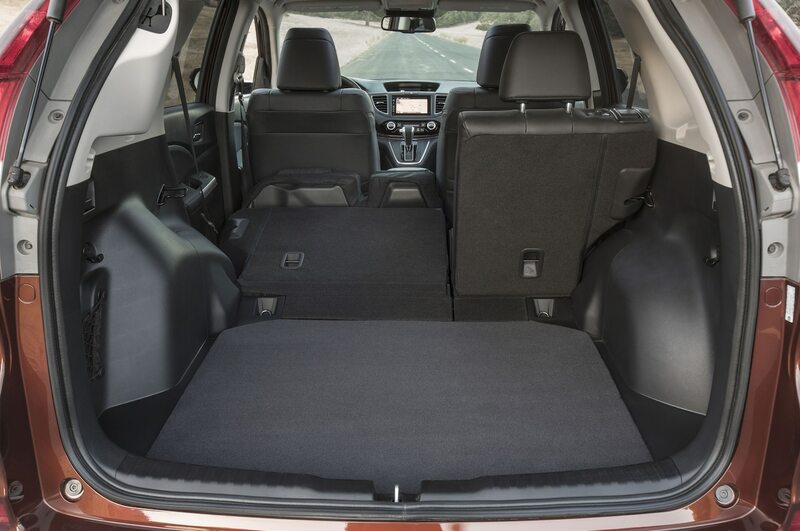 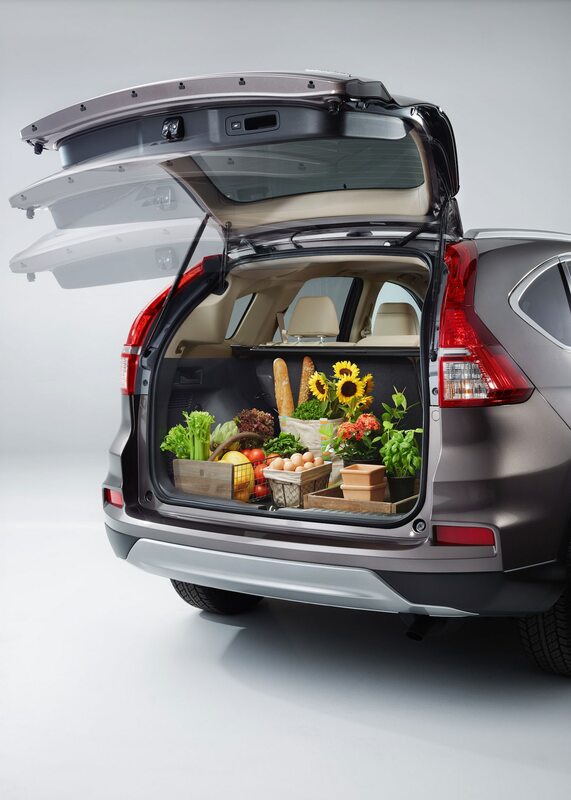 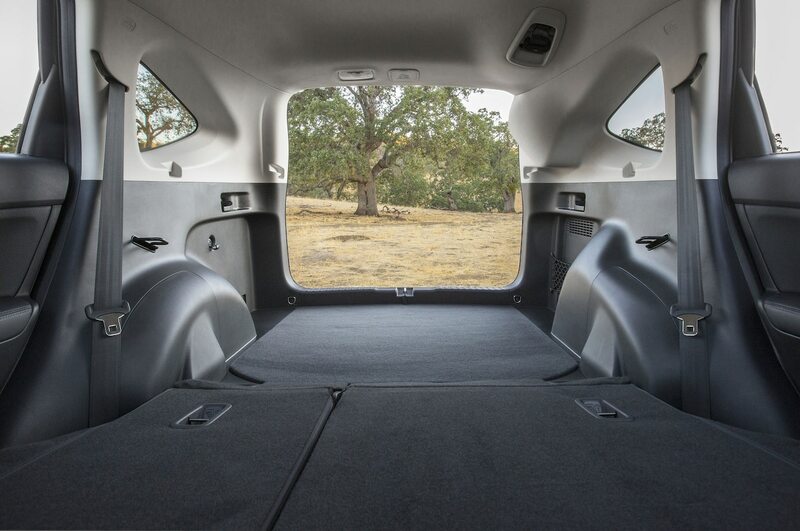 The roomy 70.9-cubic-foot cargo hold drew raves; the goiter-like power-hatch mechanism on the left D-pillar, not so much. 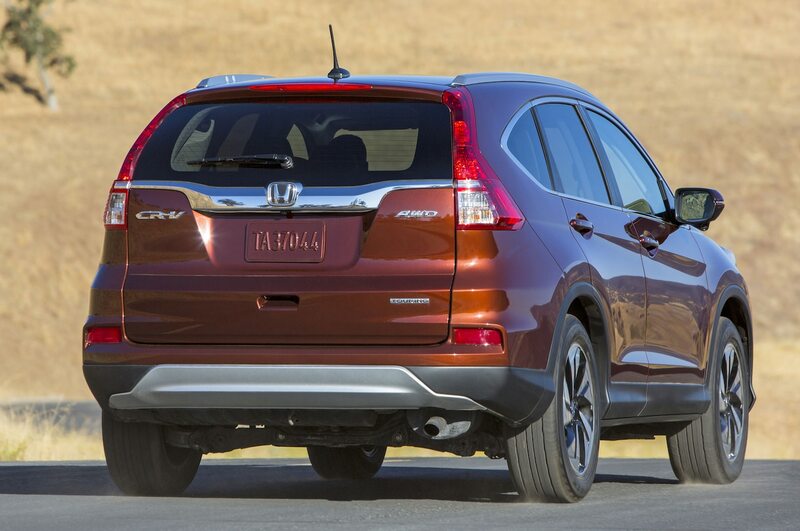 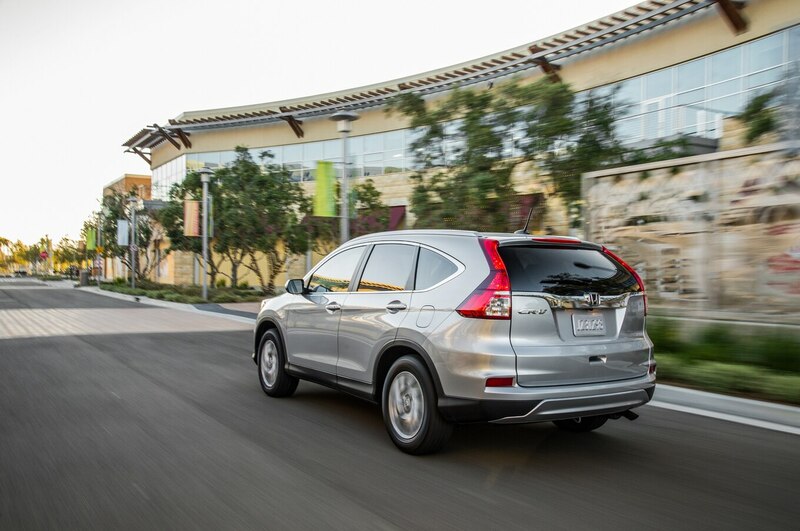 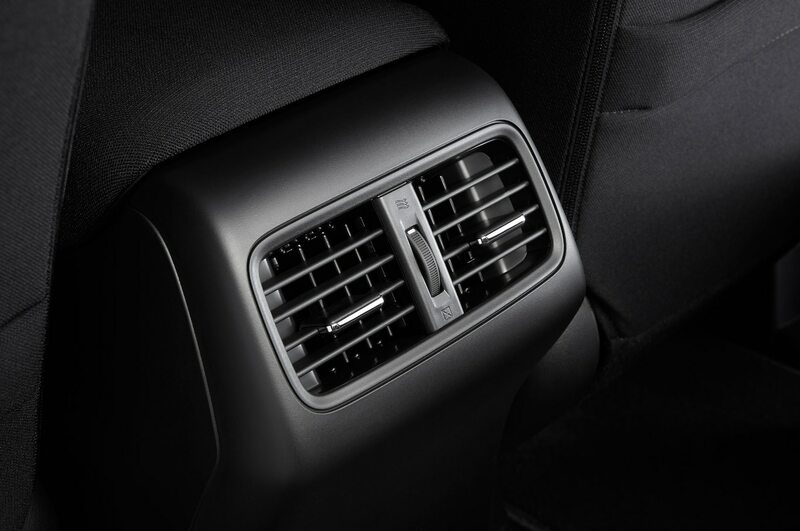 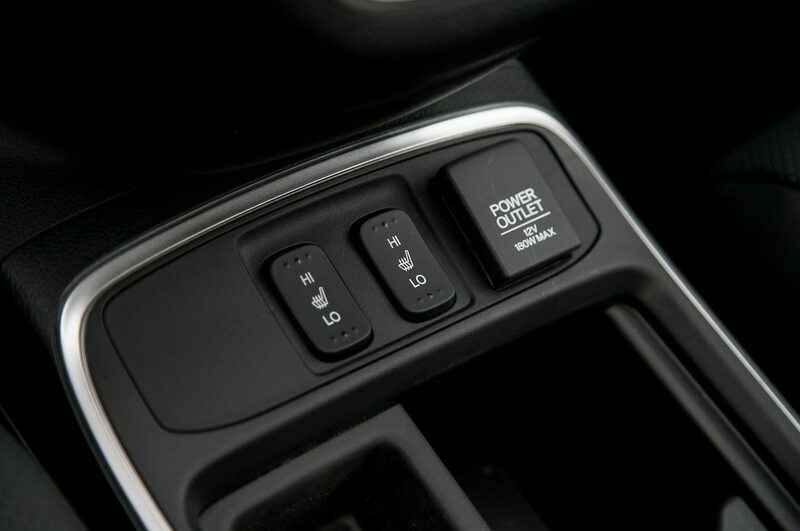 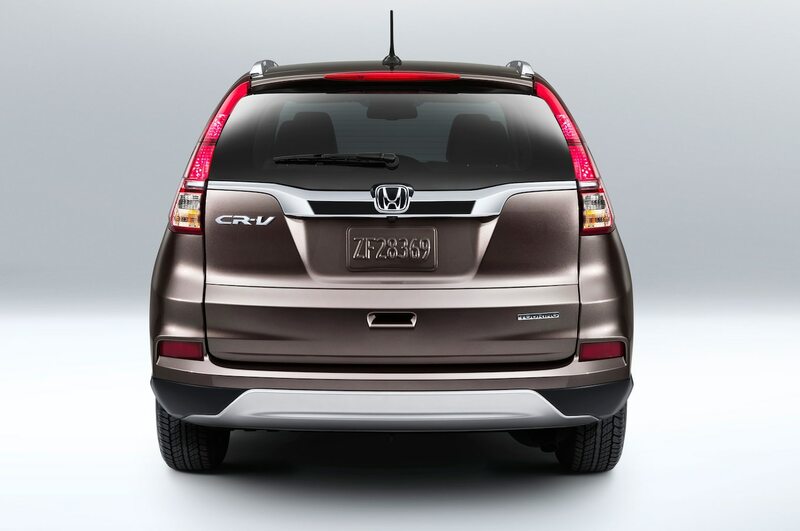 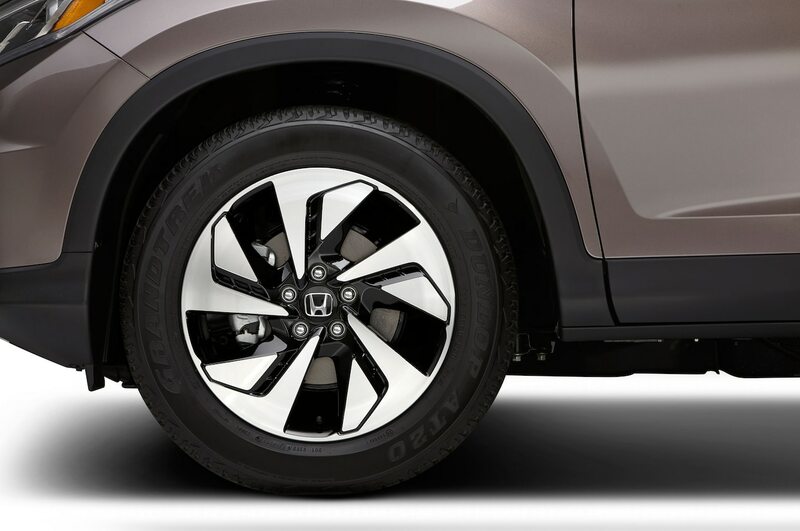 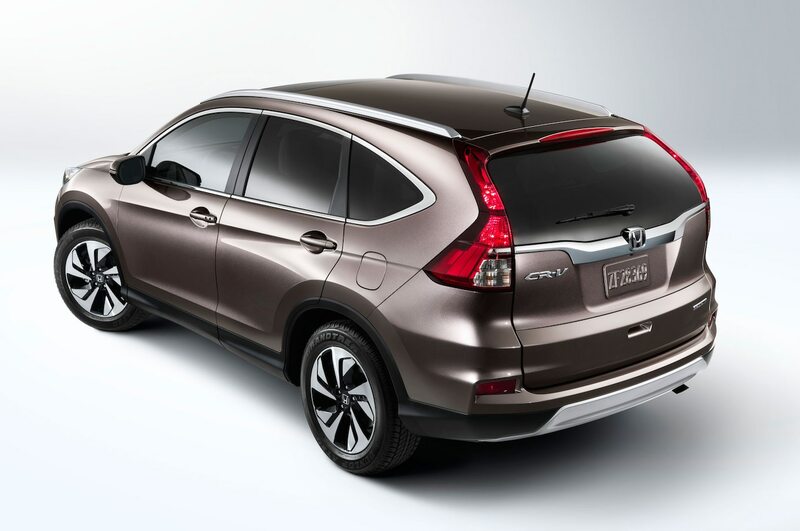 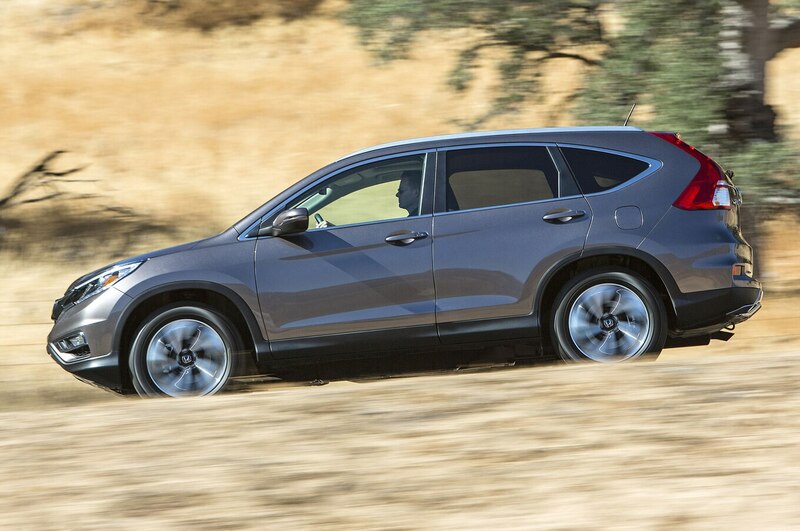 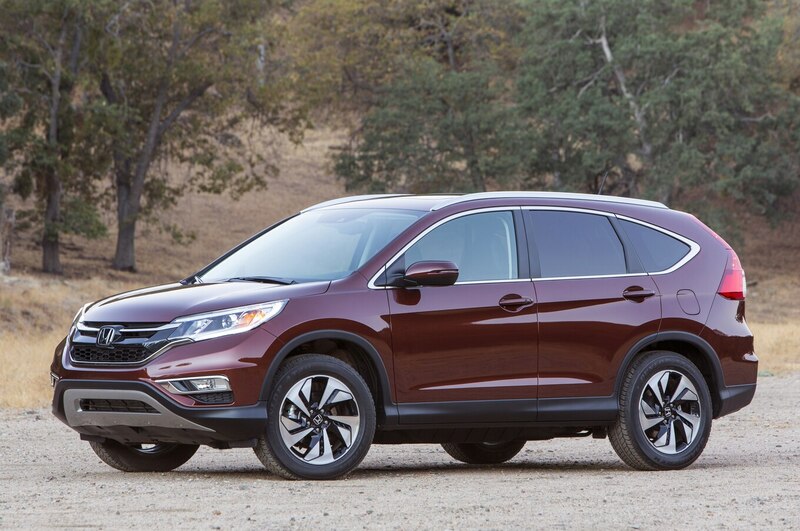 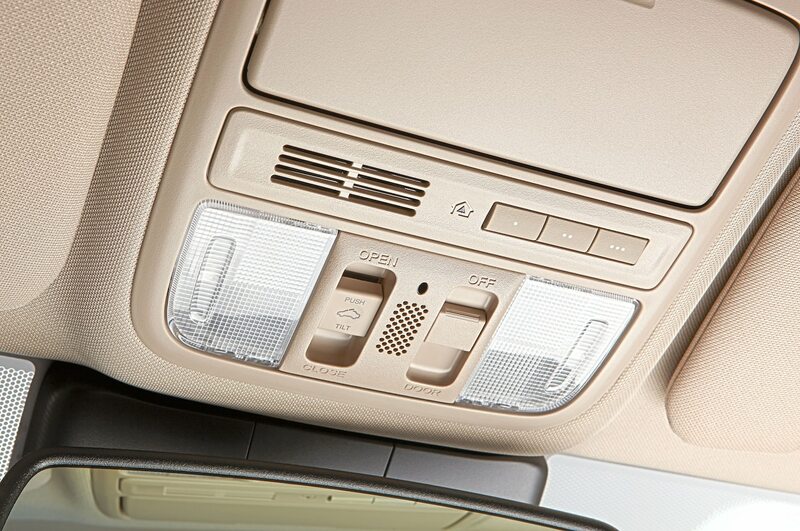 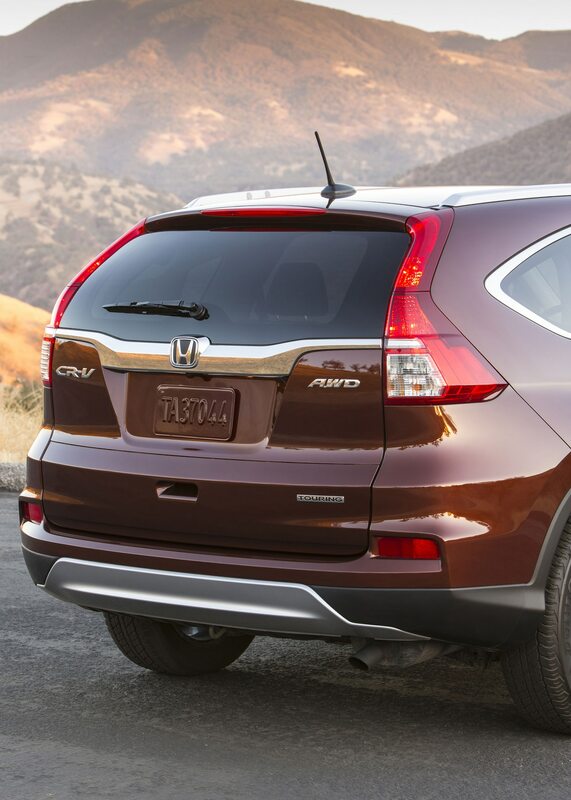 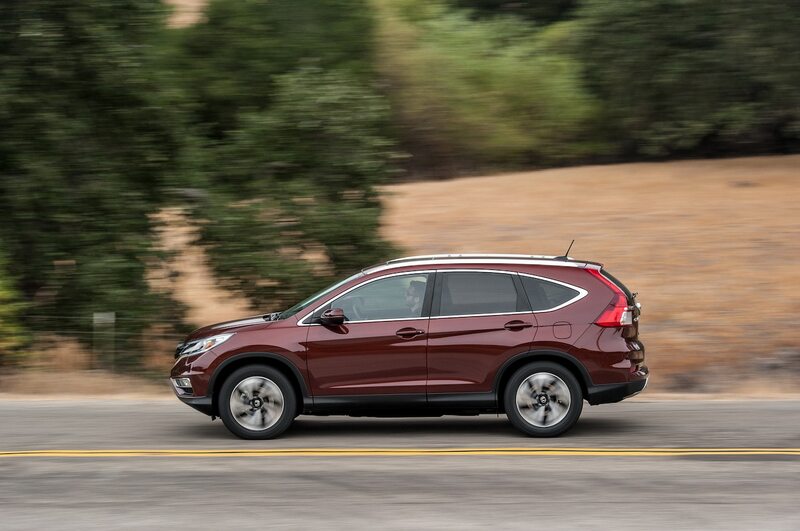 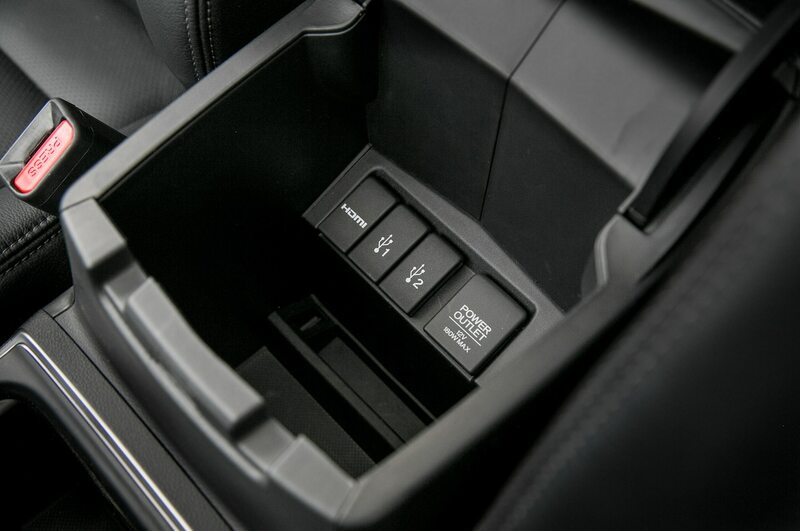 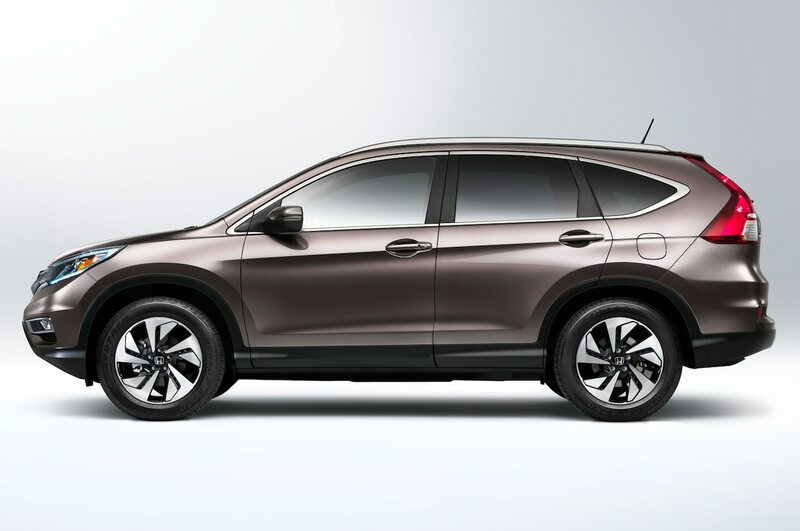 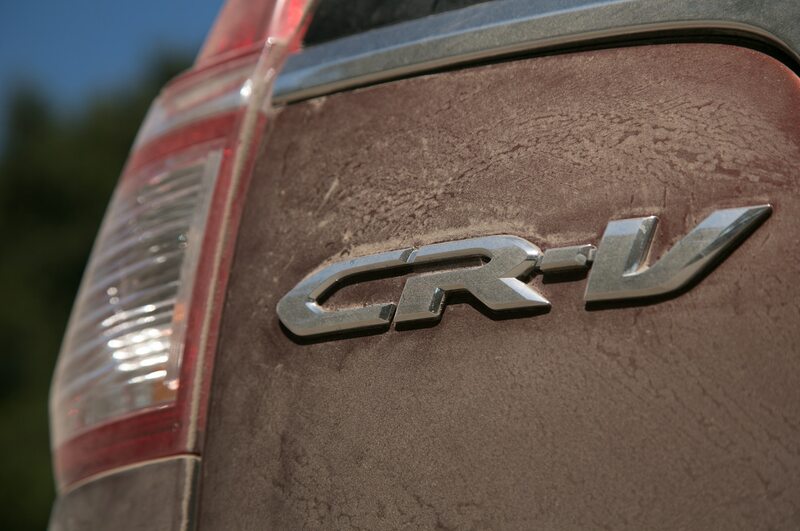 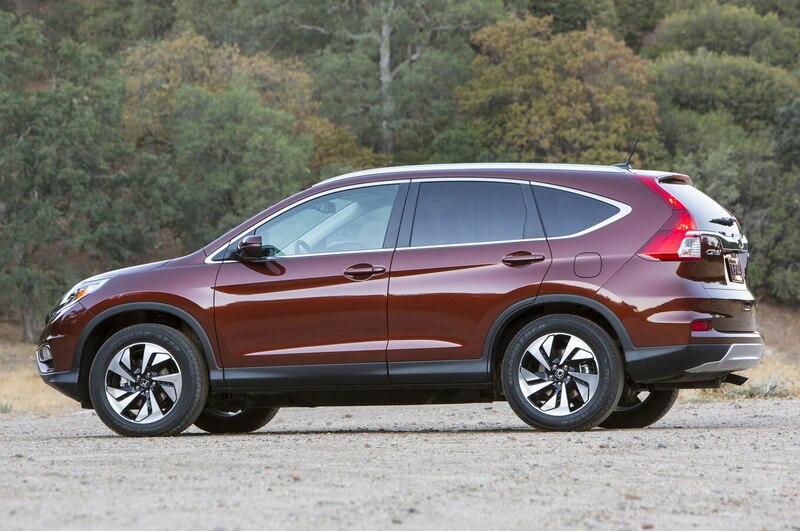 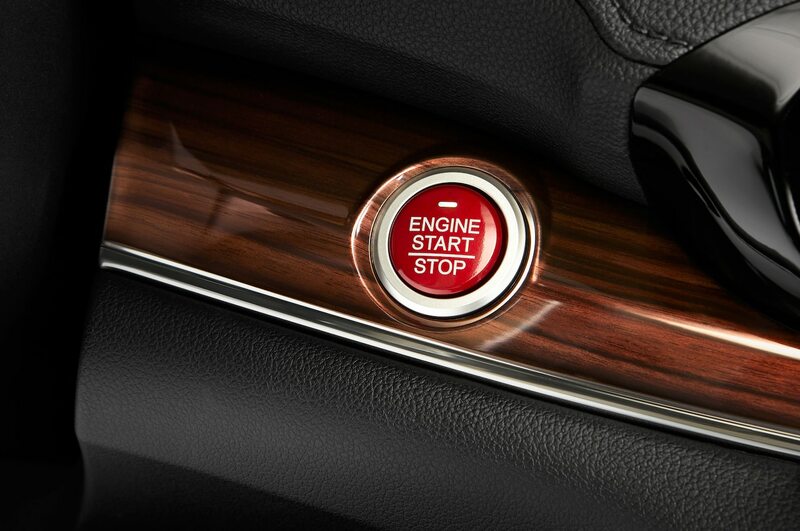 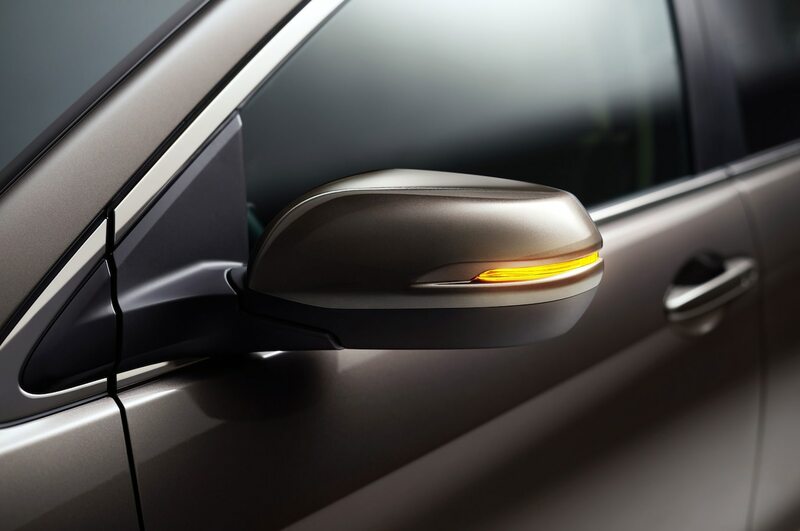 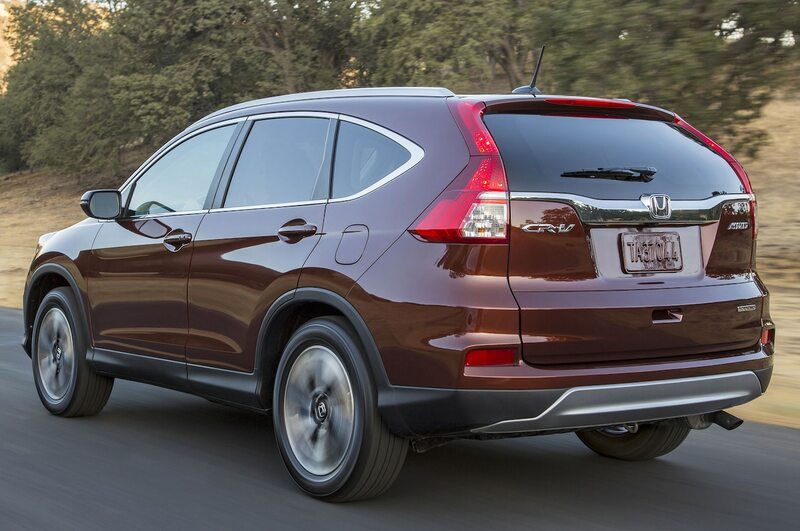 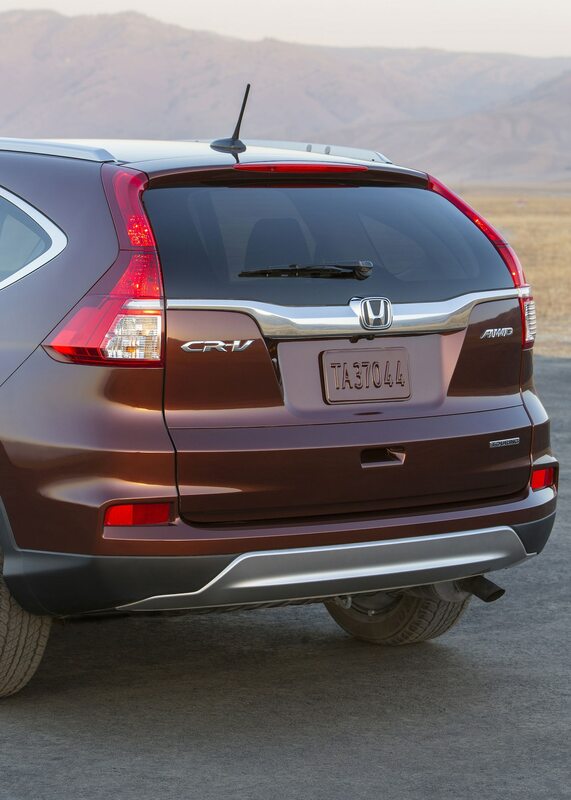 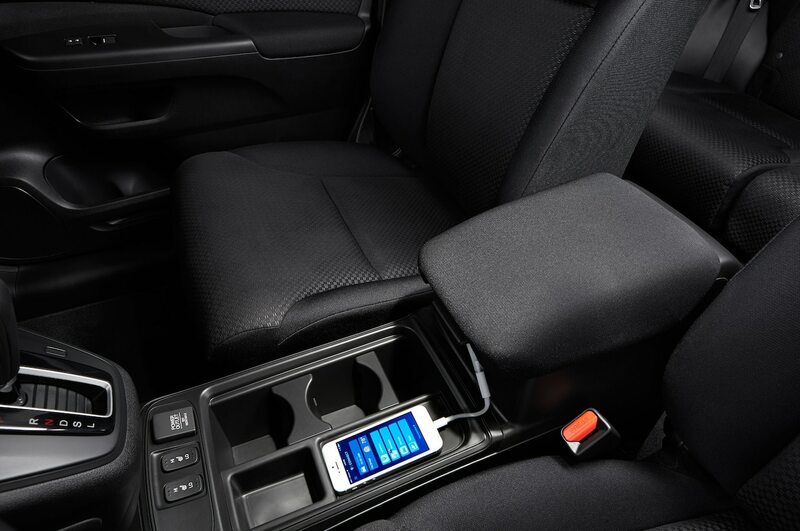 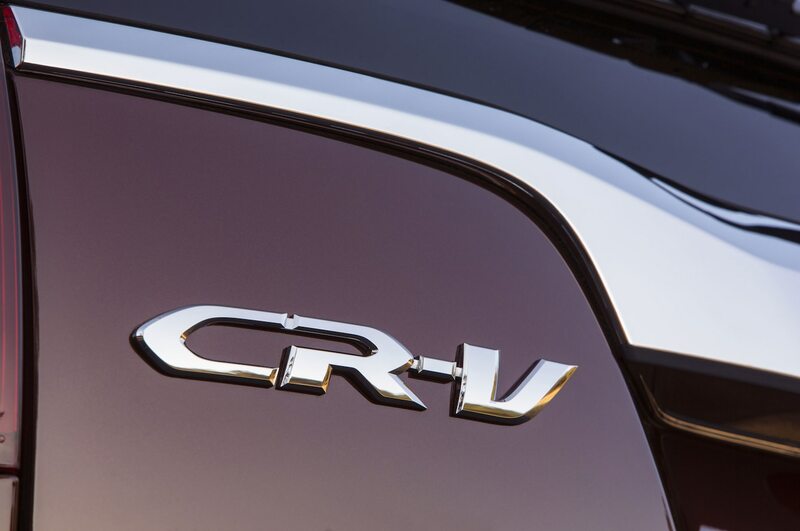 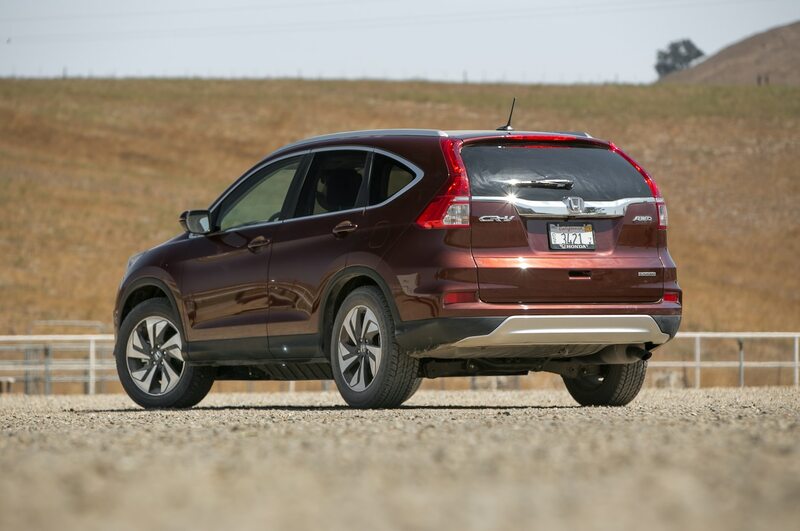 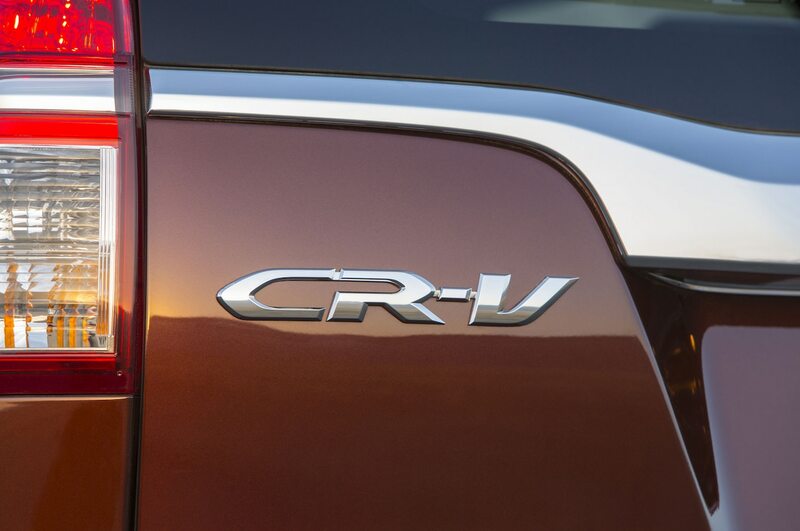 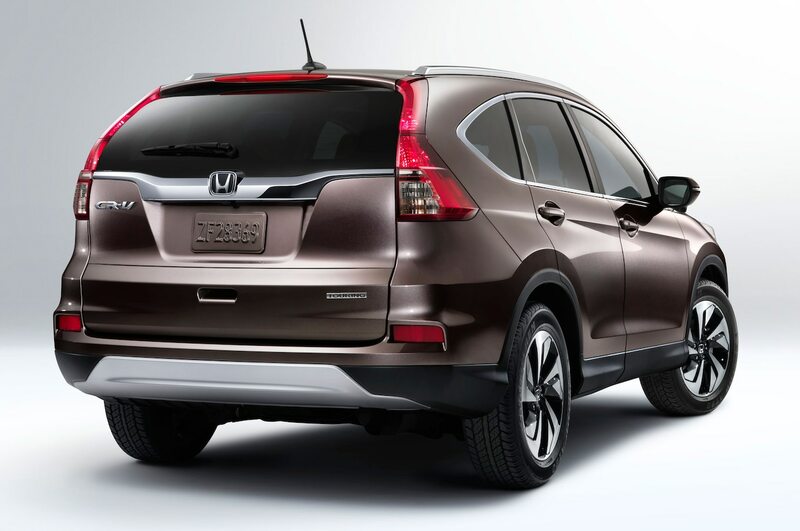 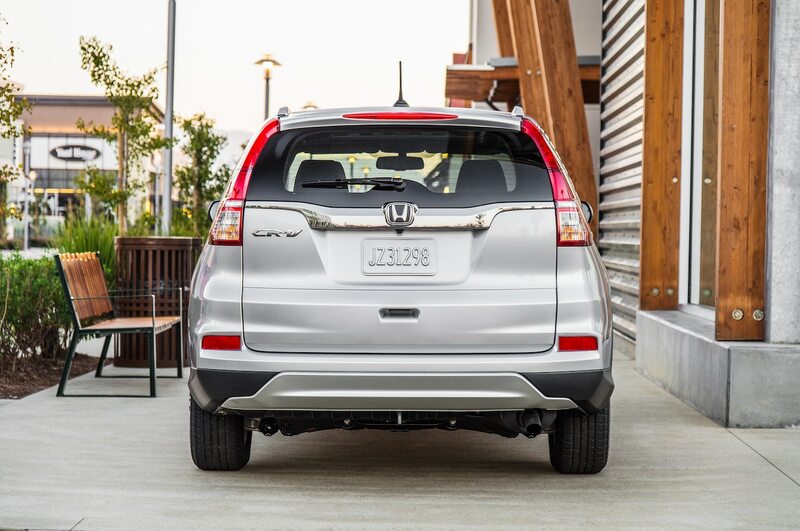 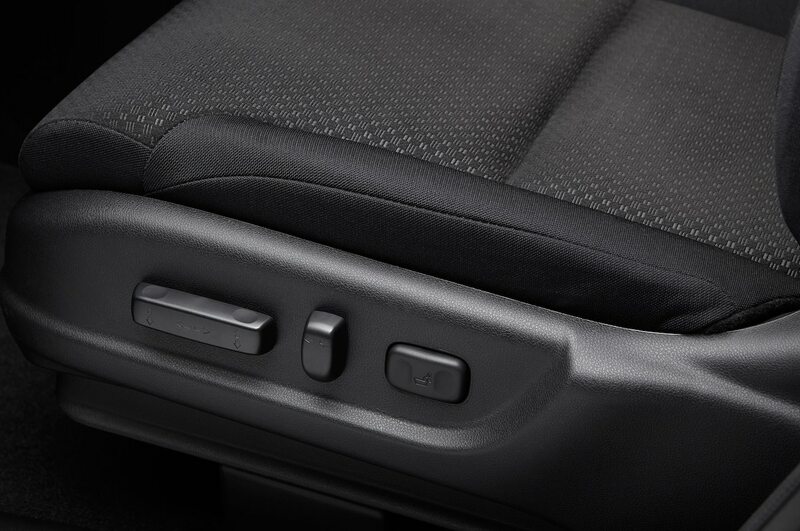 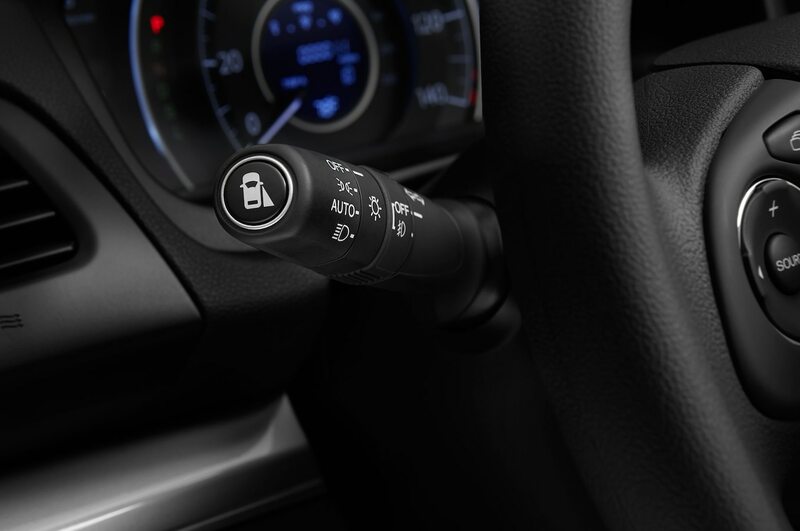 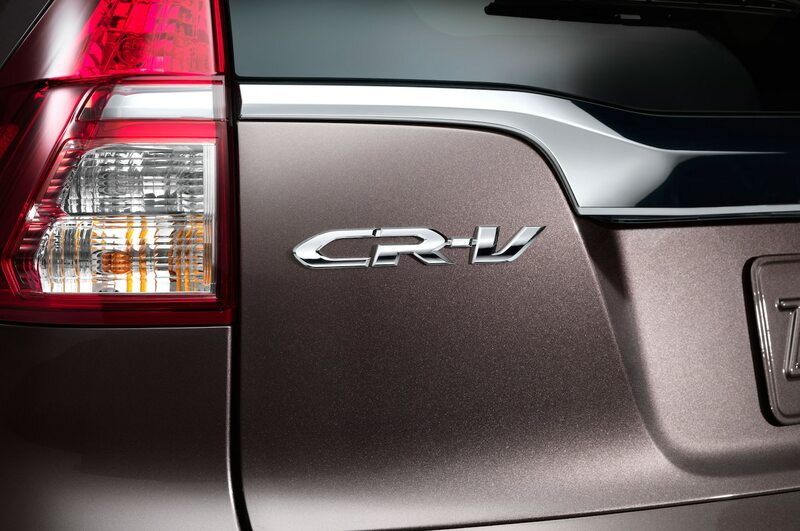 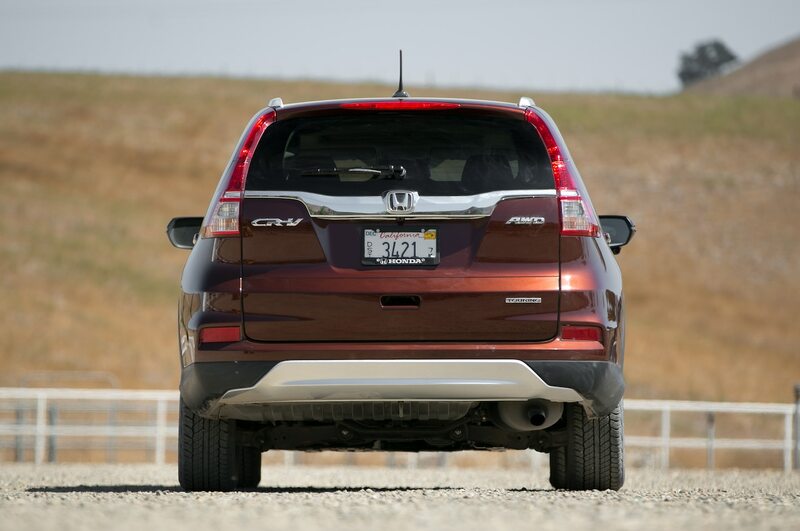 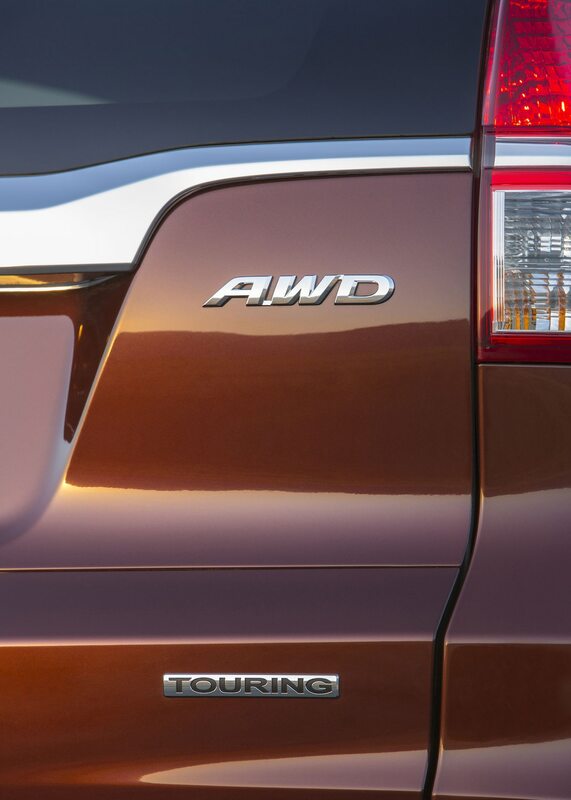 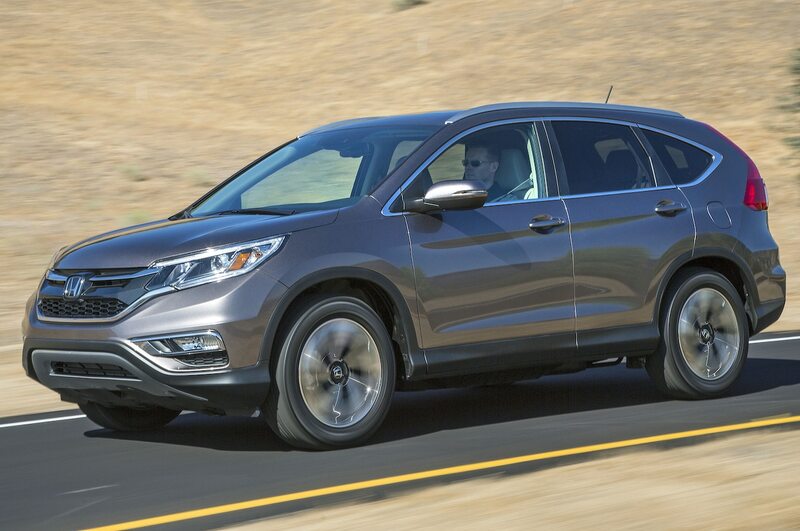 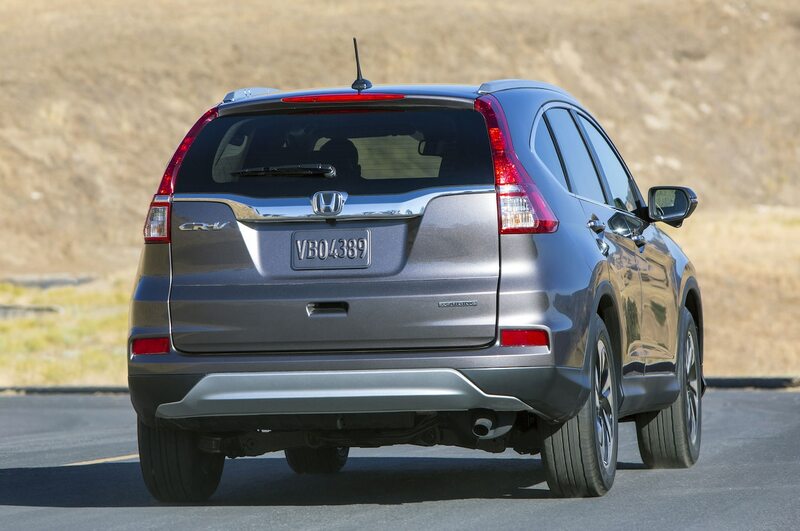 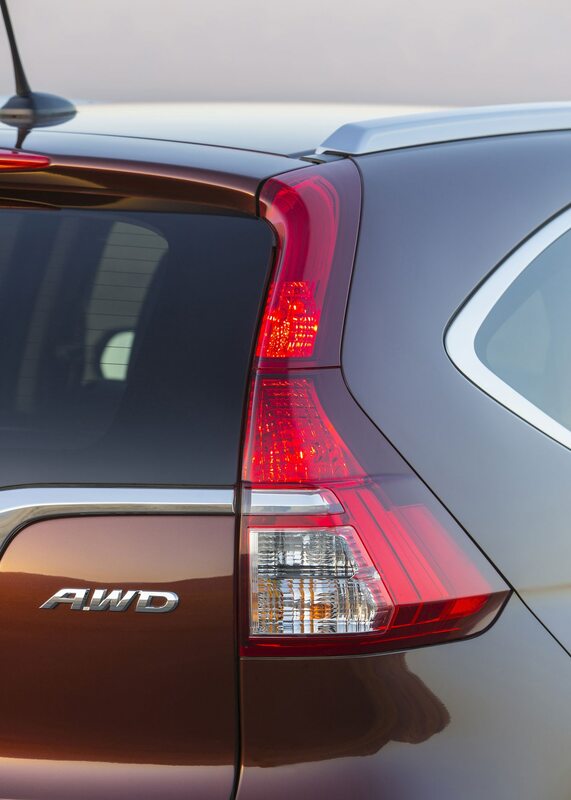 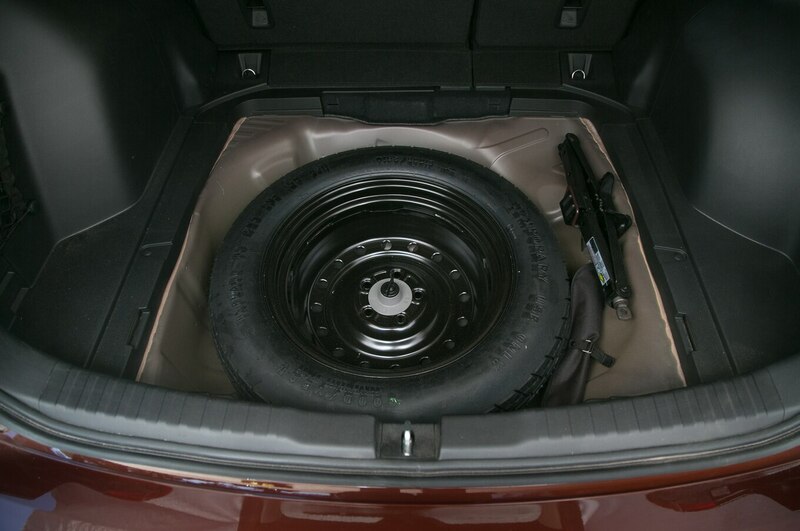 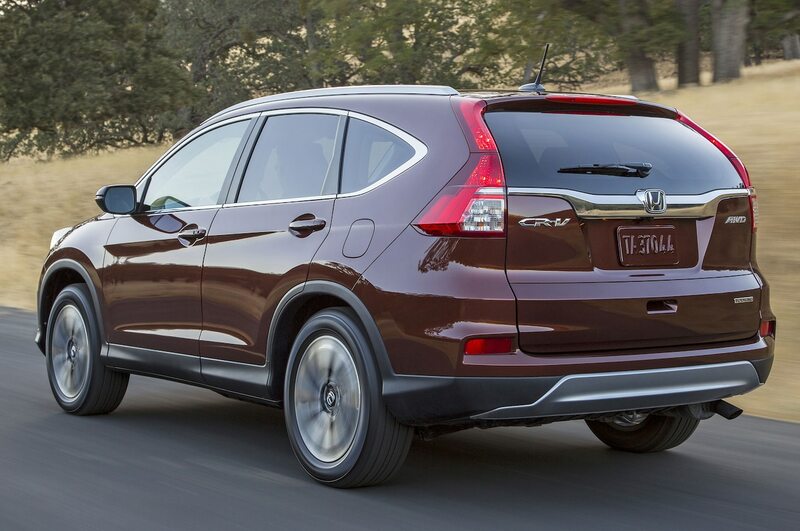 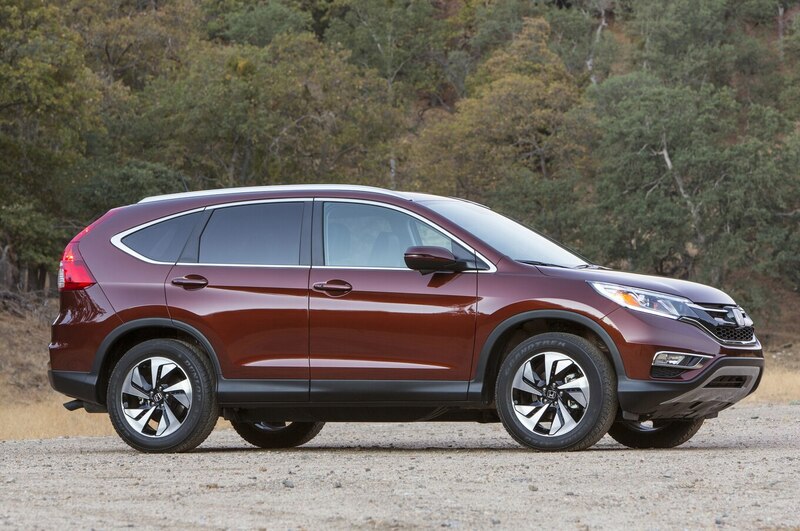 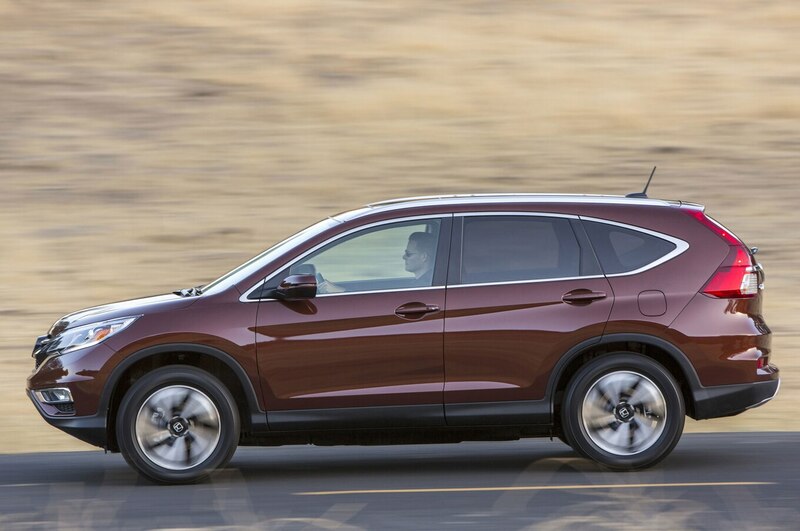 If Honda revisits the Gen 4 CR-V again, we’d like some power outlets somewhere in the back. 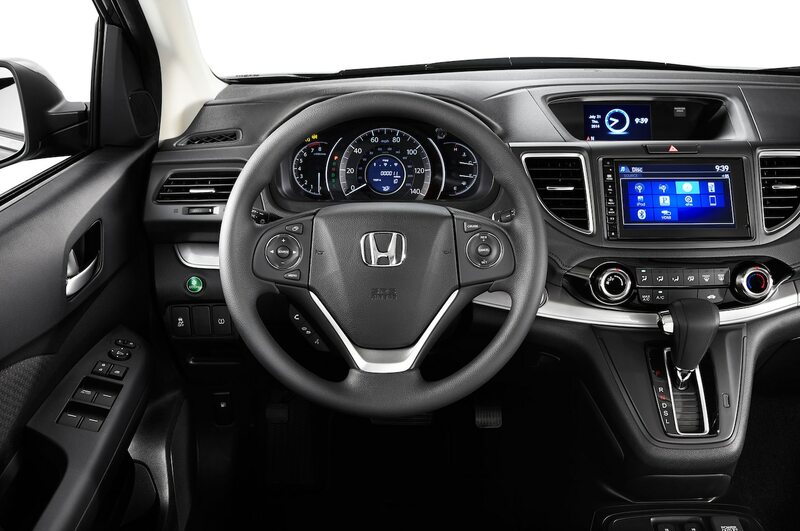 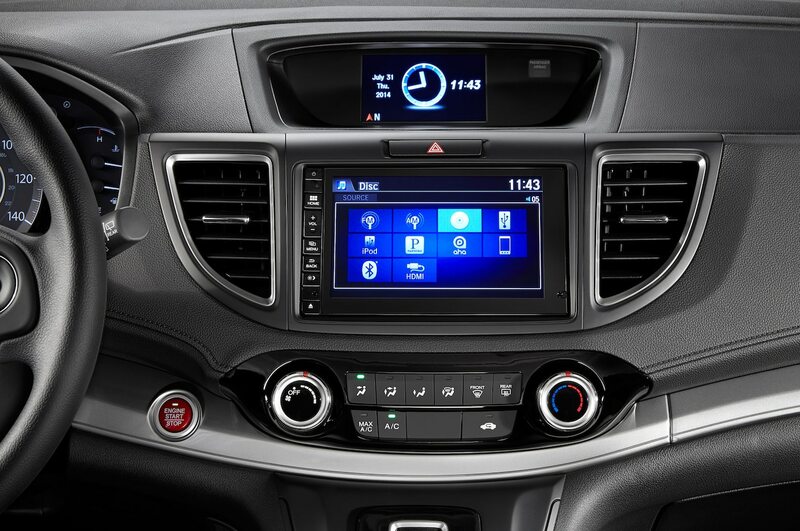 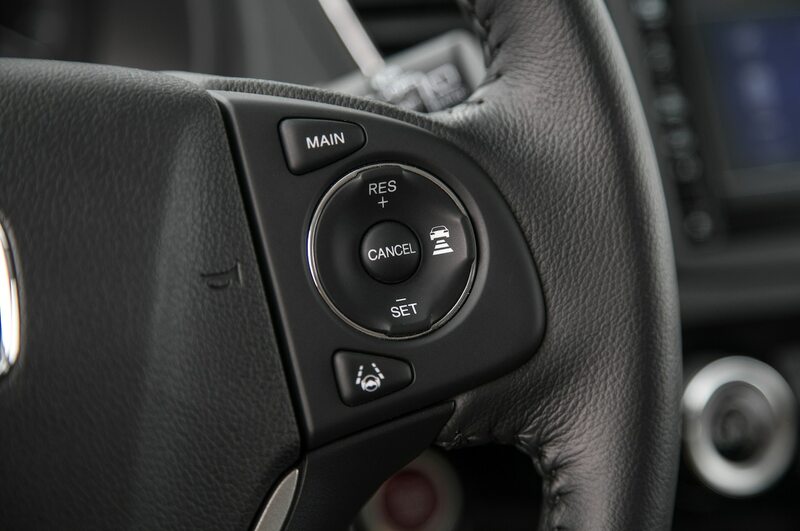 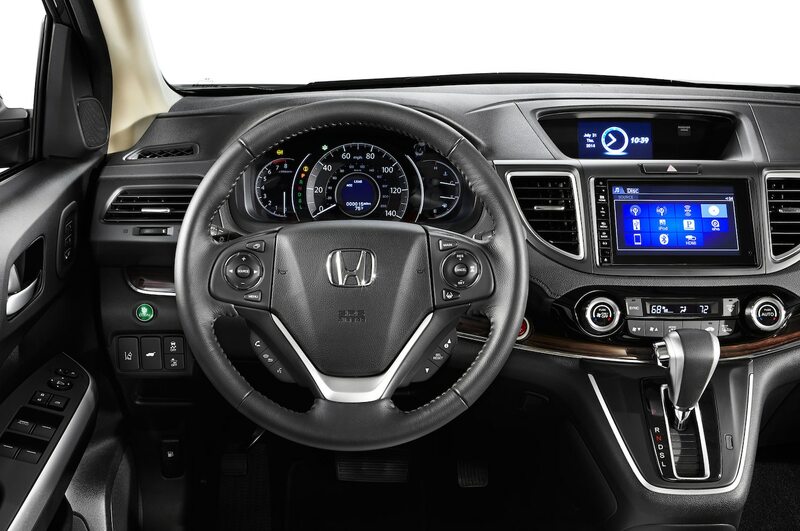 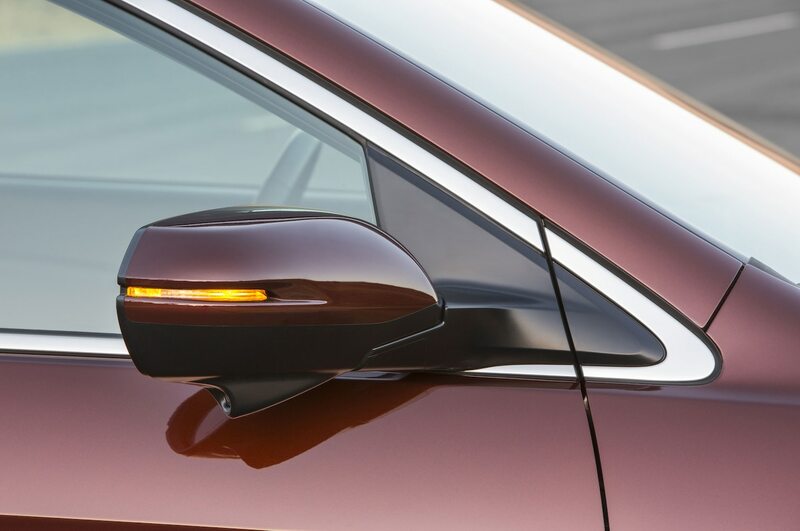 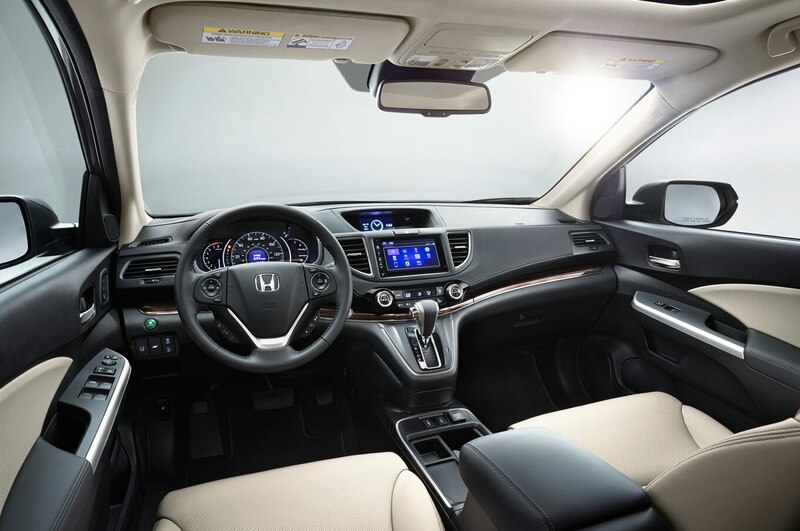 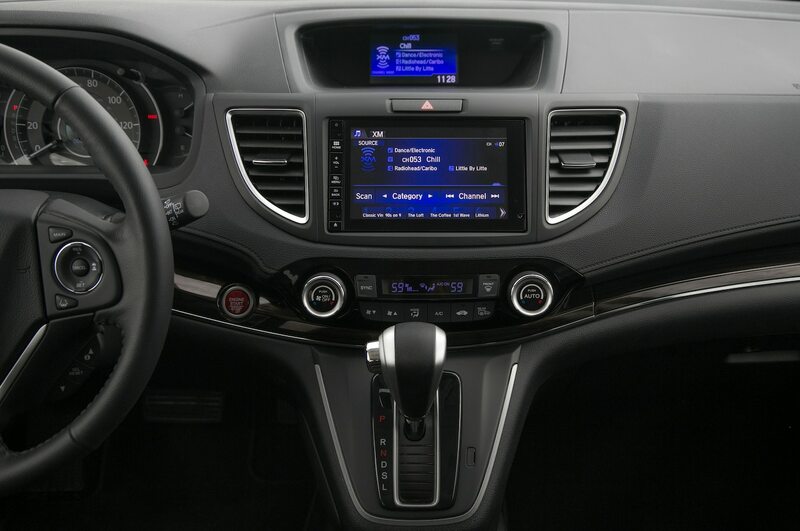 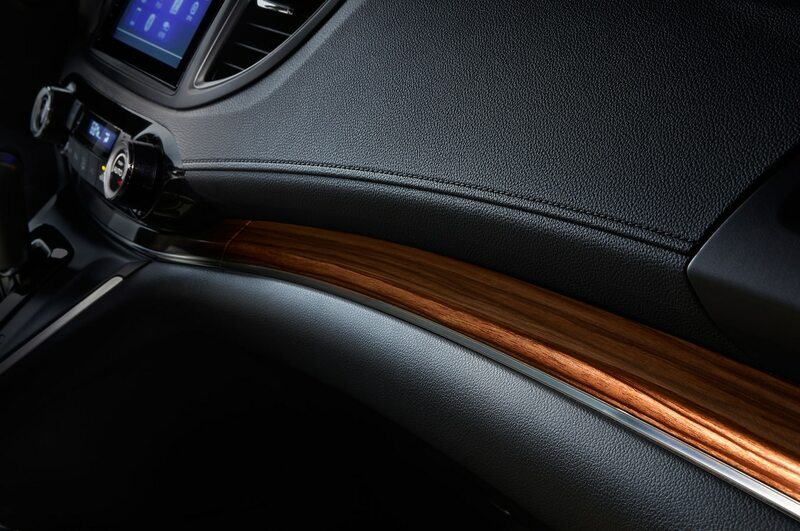 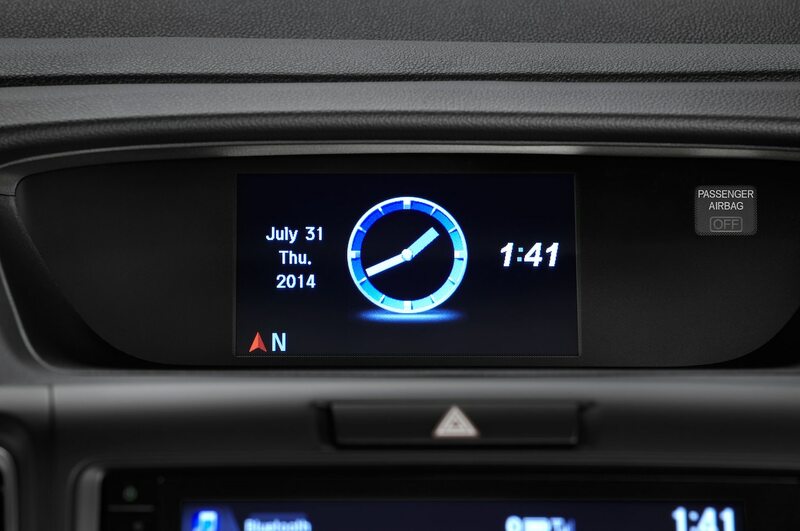 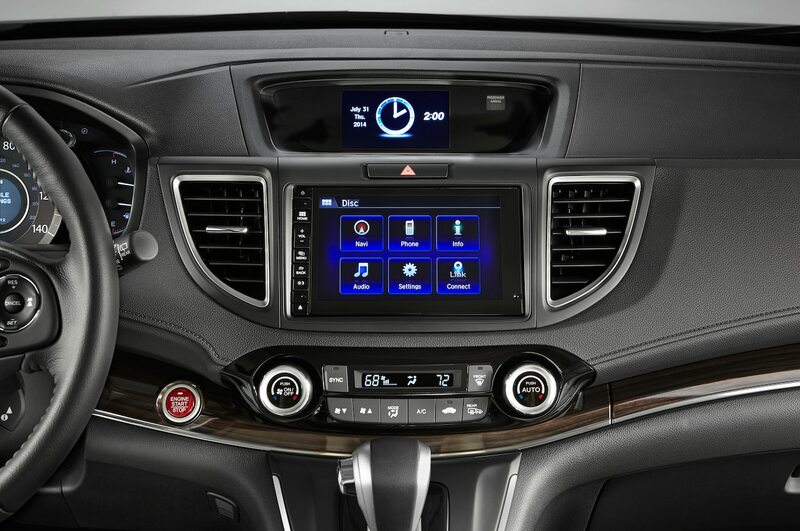 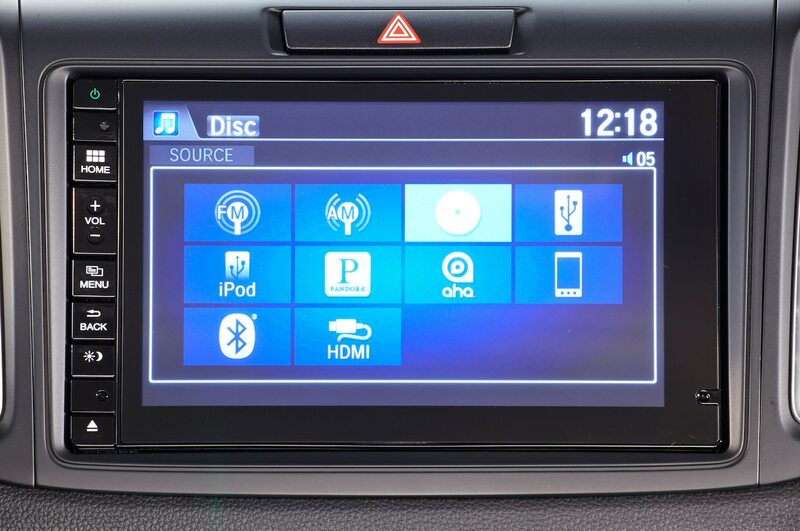 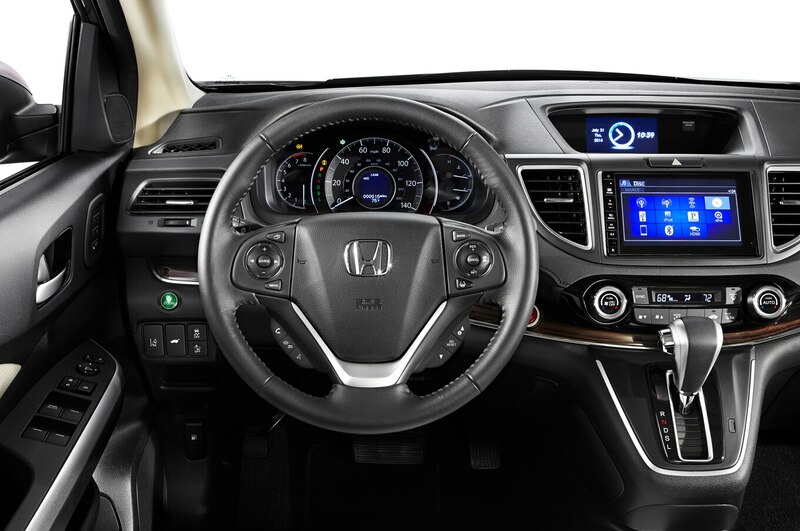 The new infotainment system looks slick and upscale, but lacks the simple volume and tuning knobs that staffers (and we’re willing to bet customers) of all ages clearly prefer. 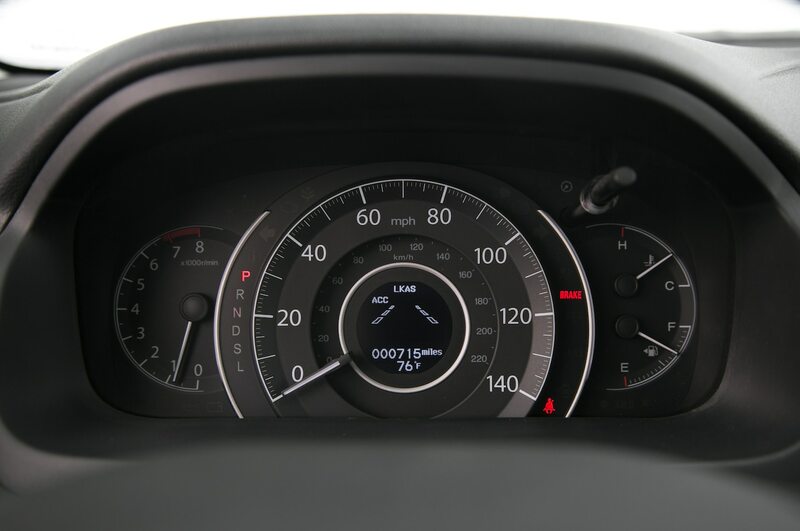 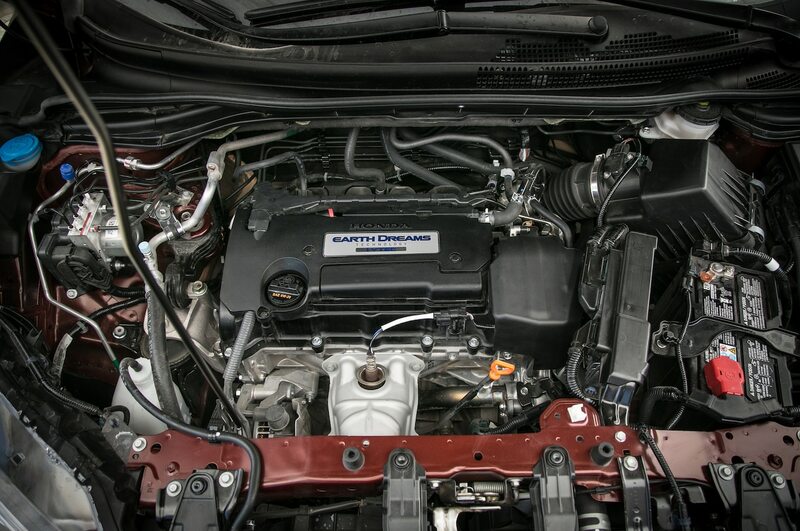 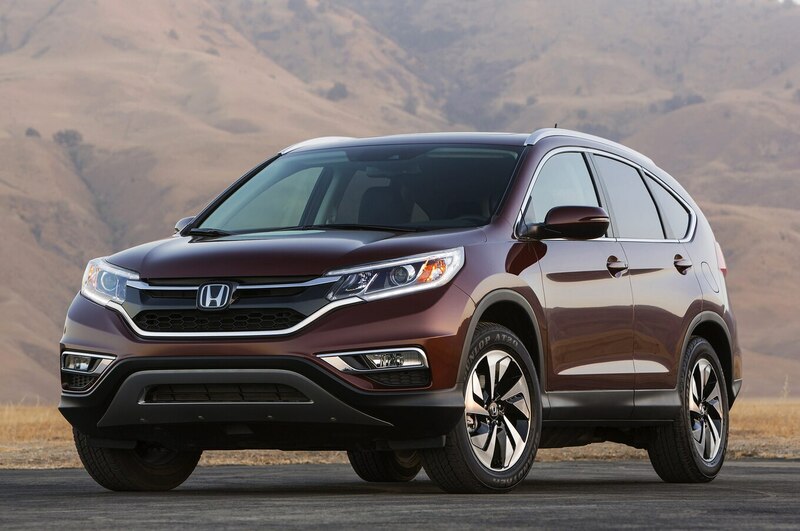 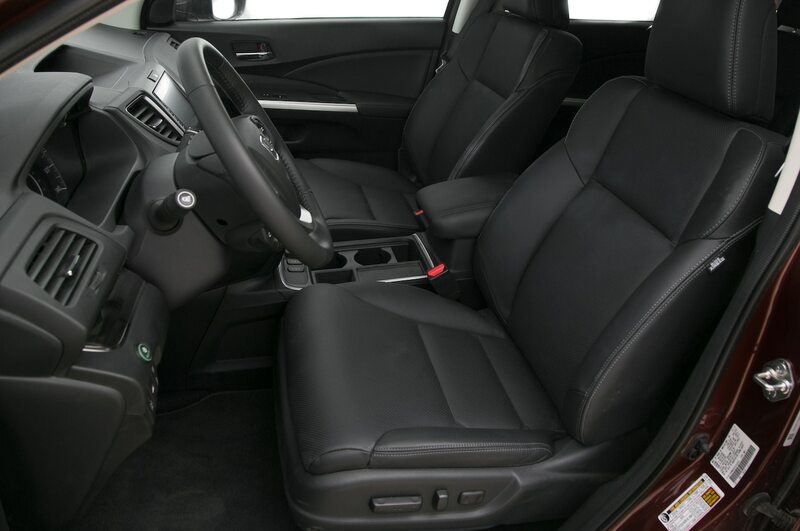 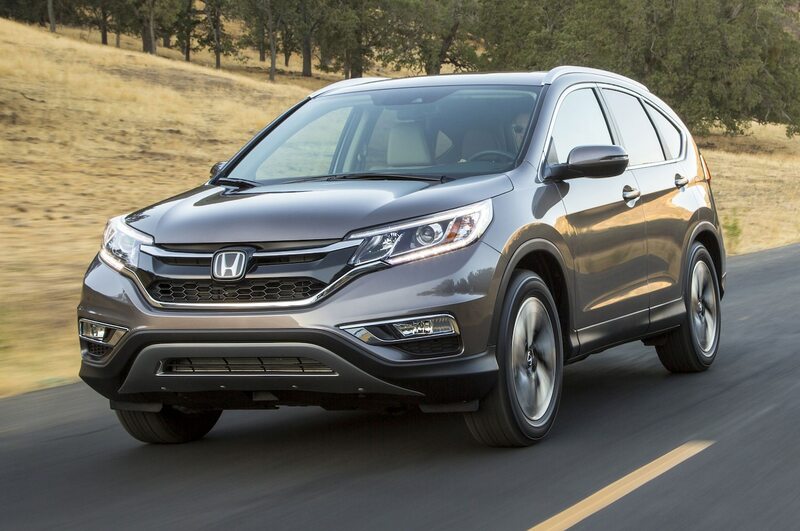 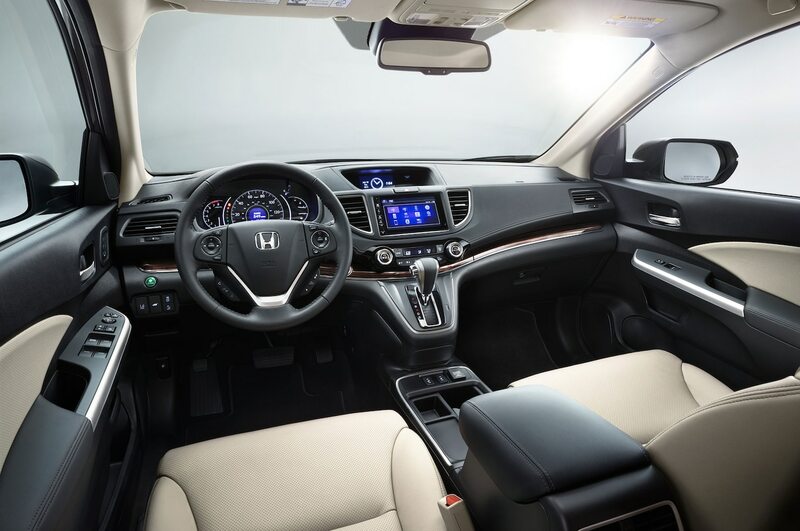 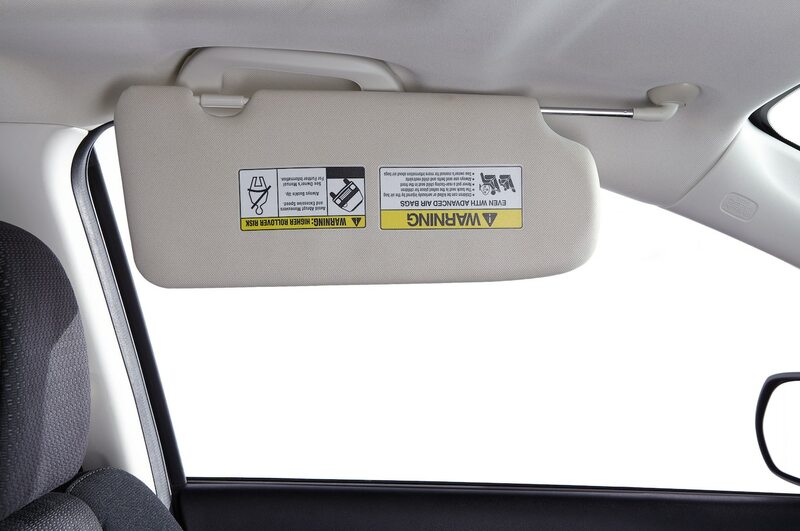 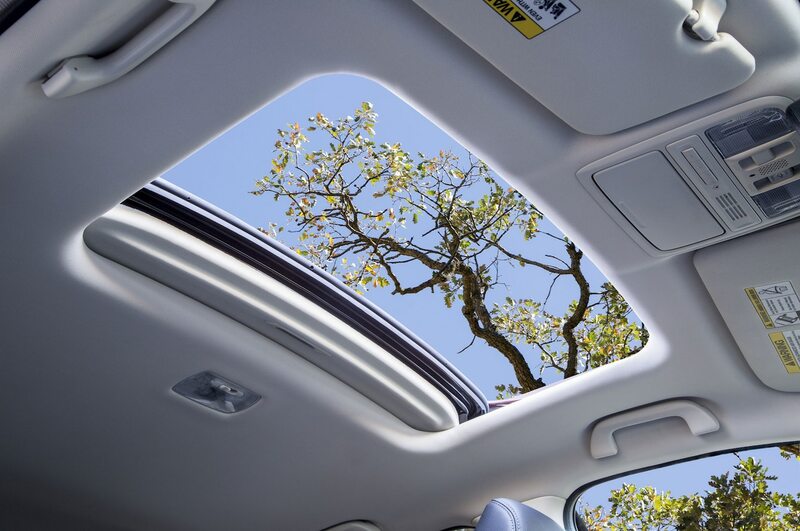 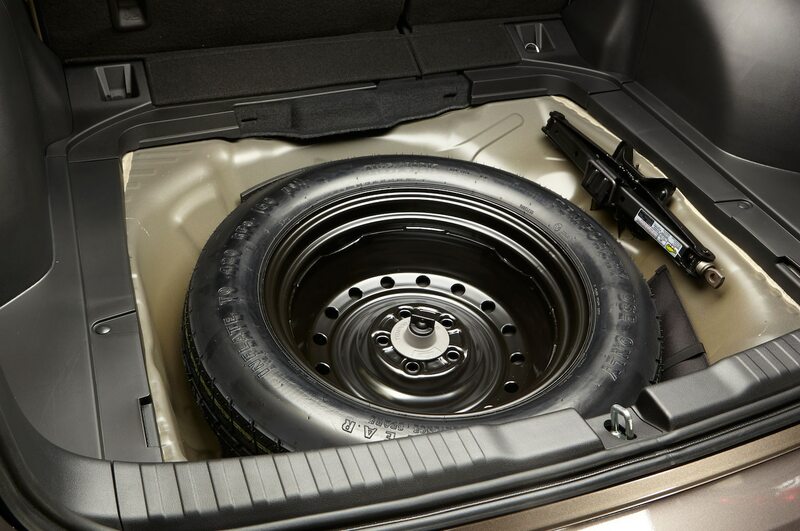 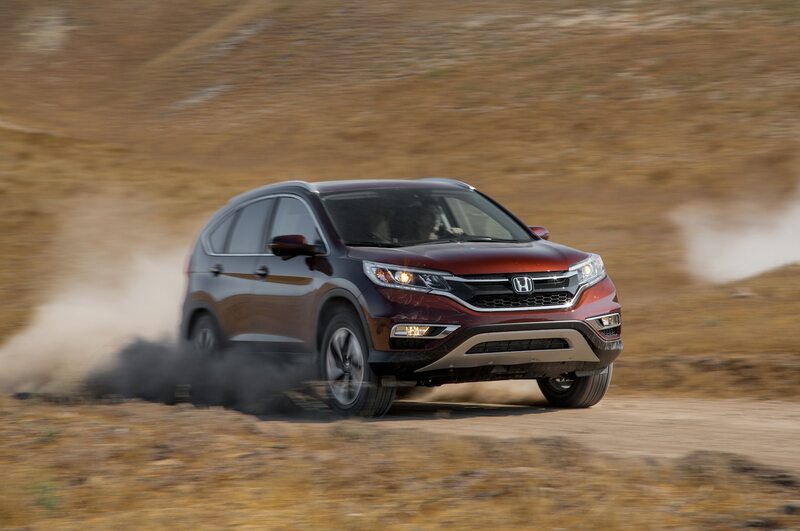 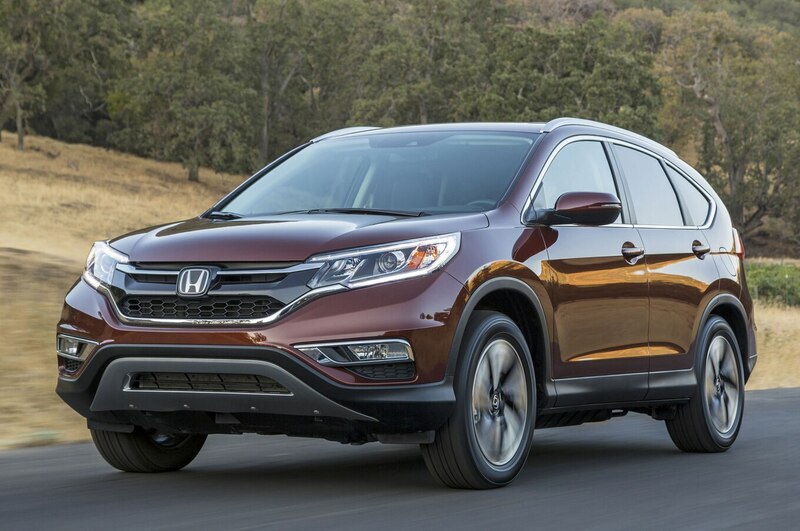 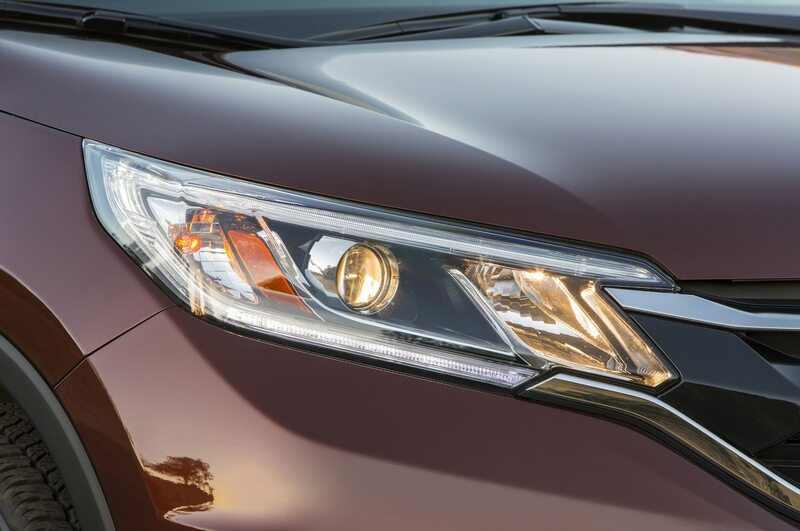 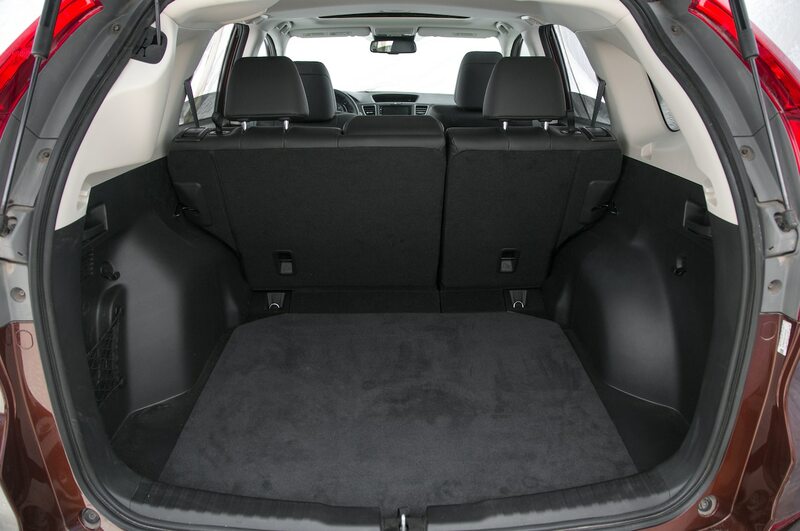 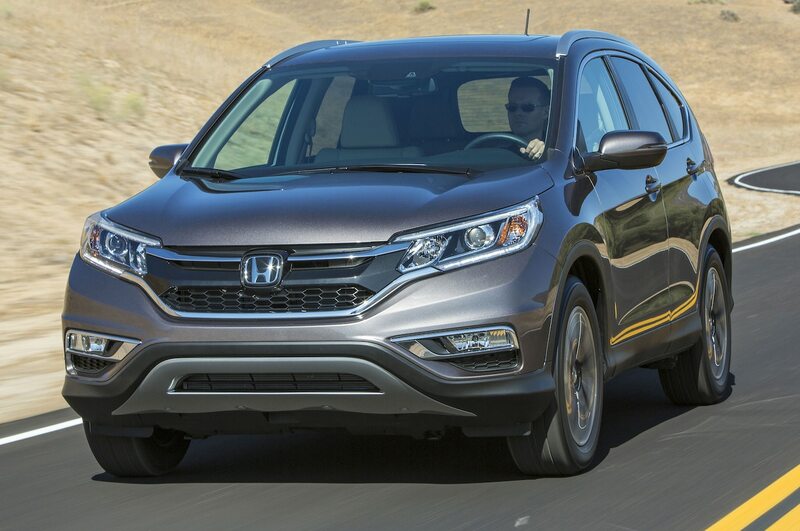 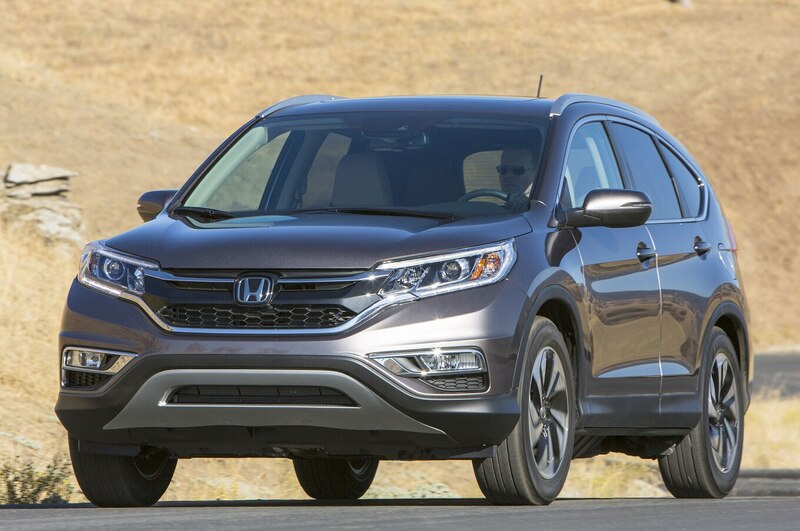 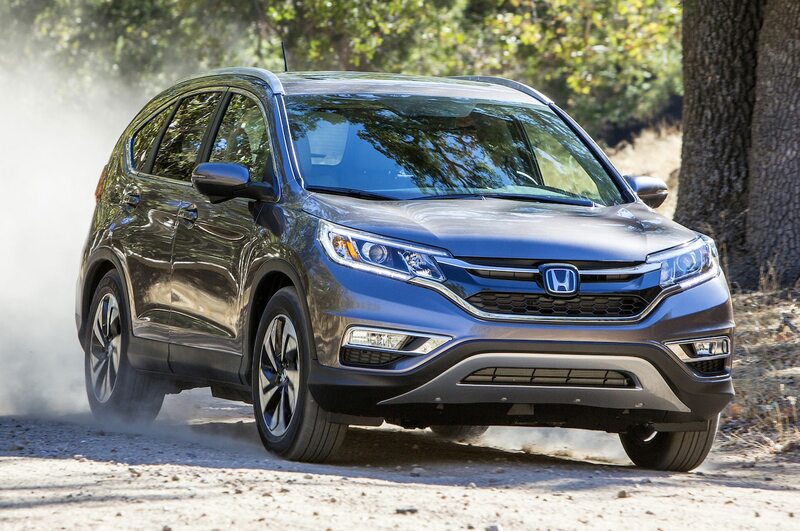 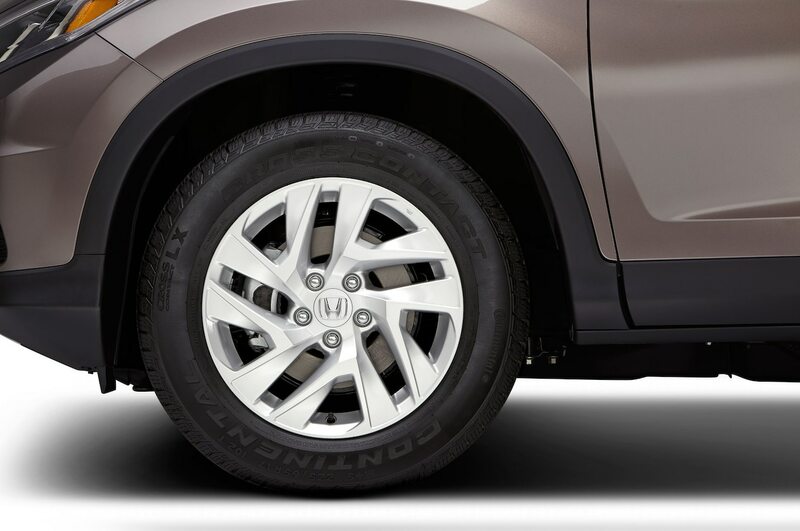 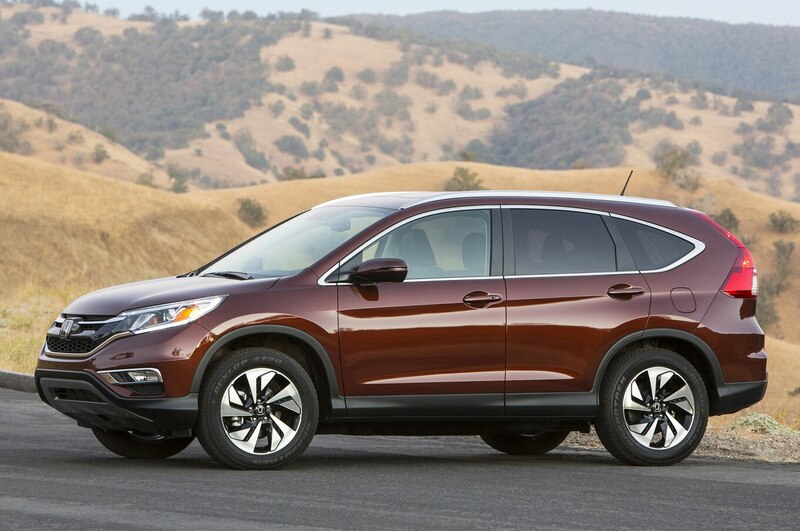 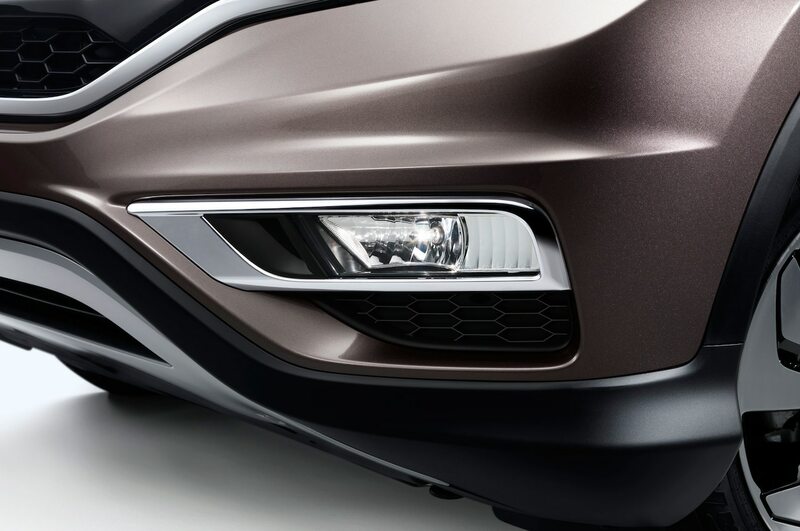 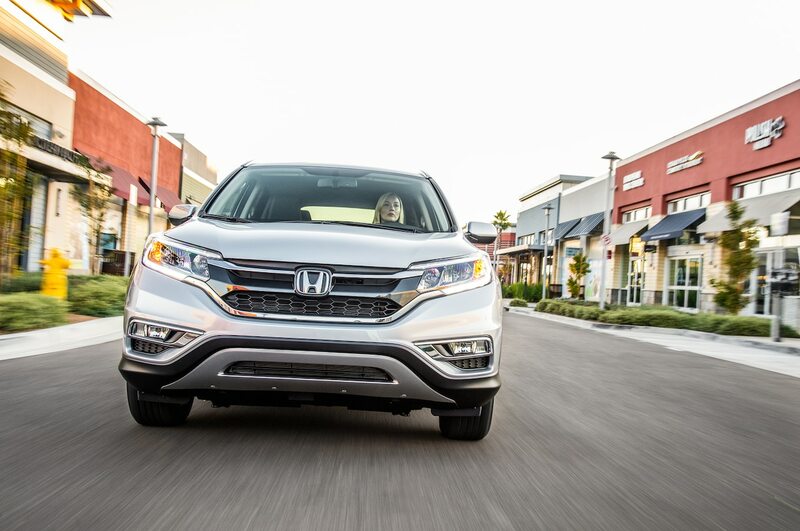 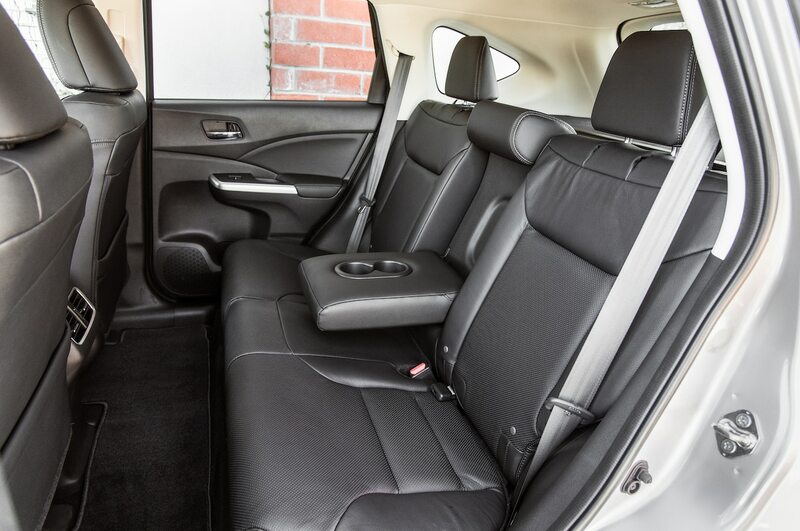 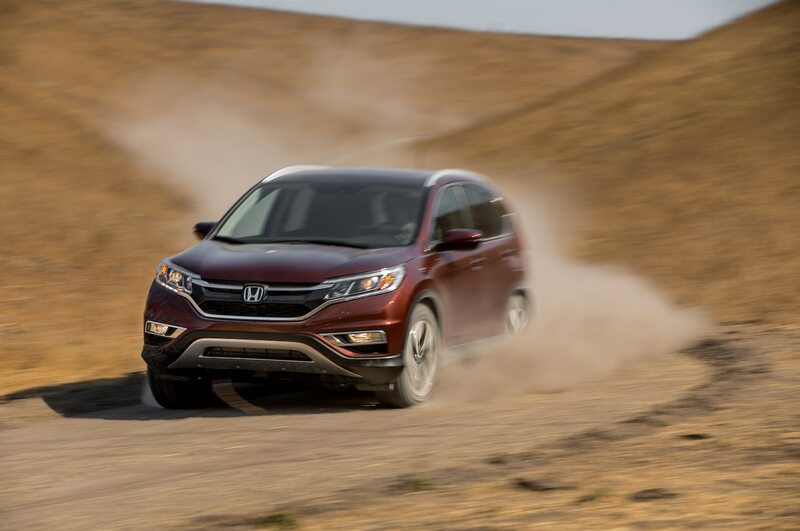 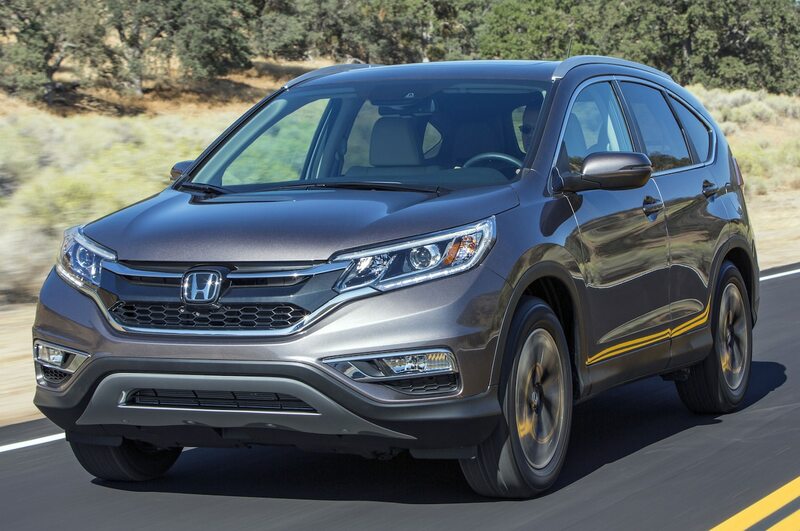 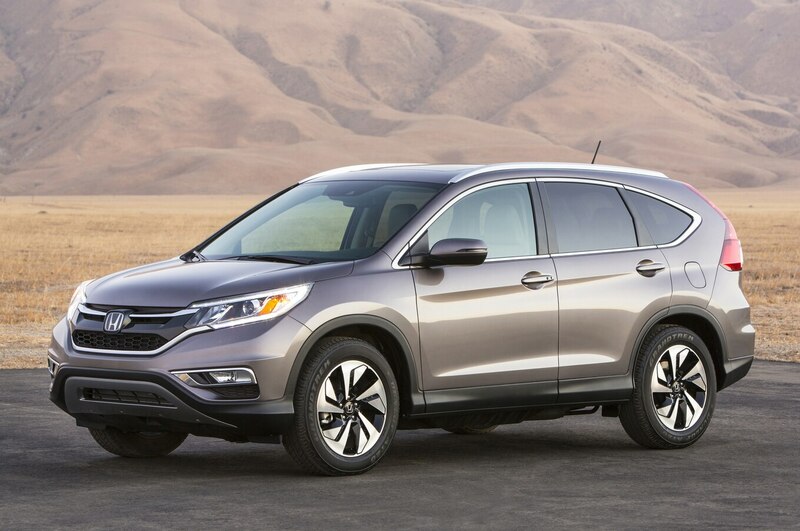 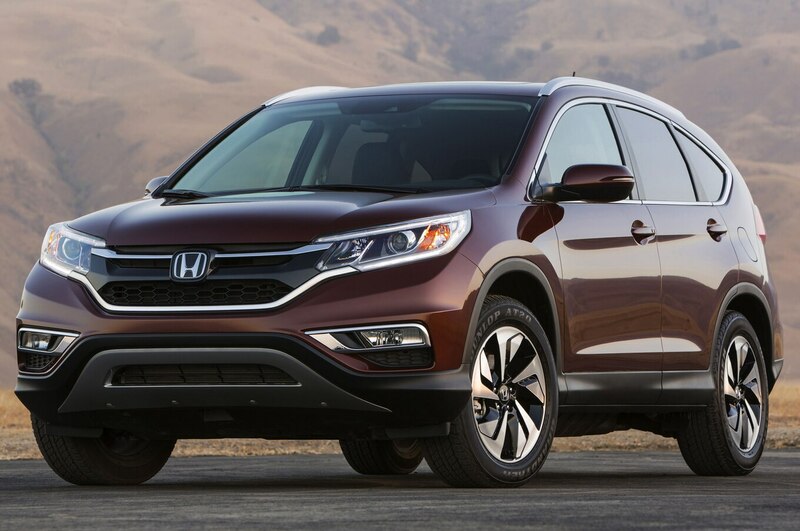 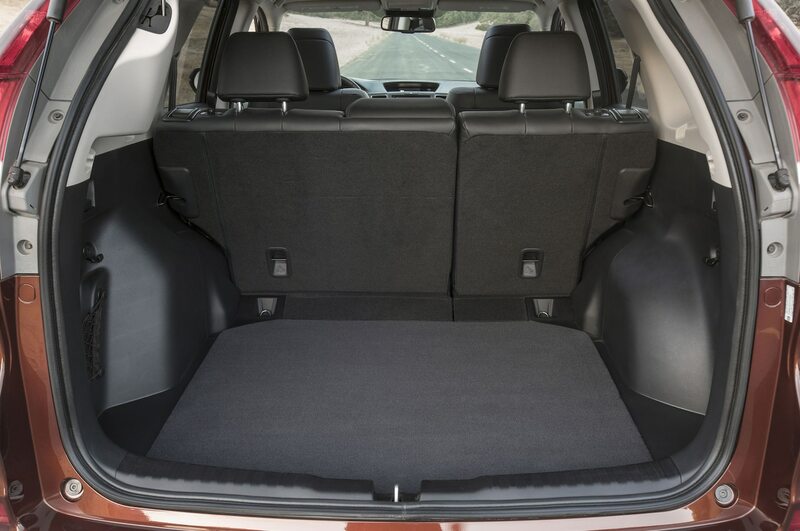 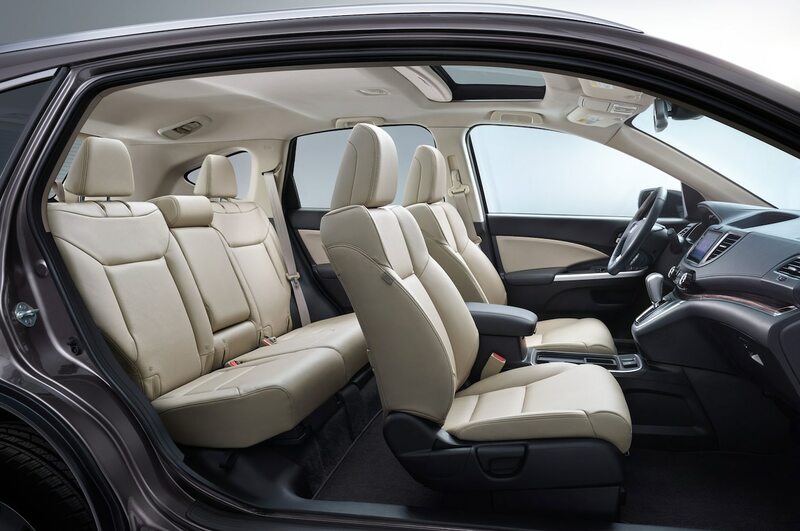 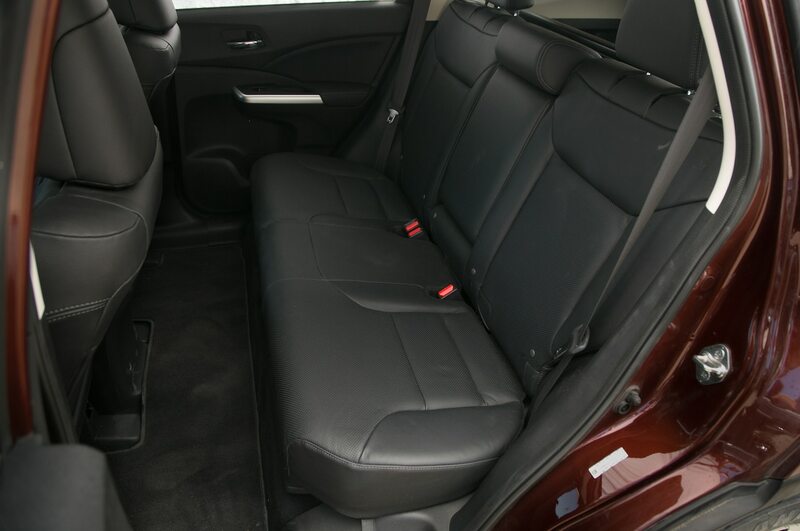 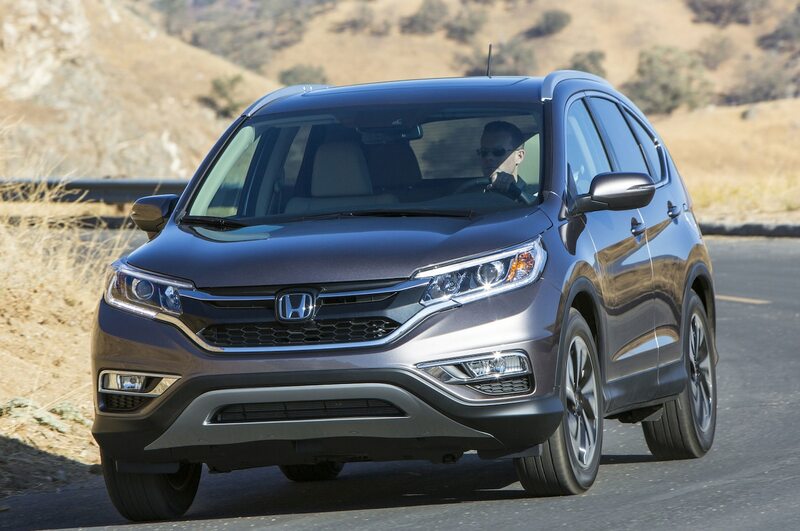 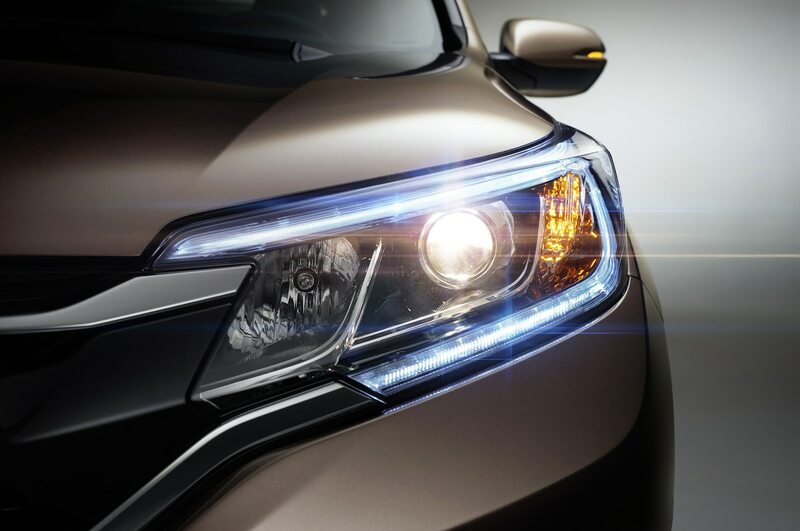 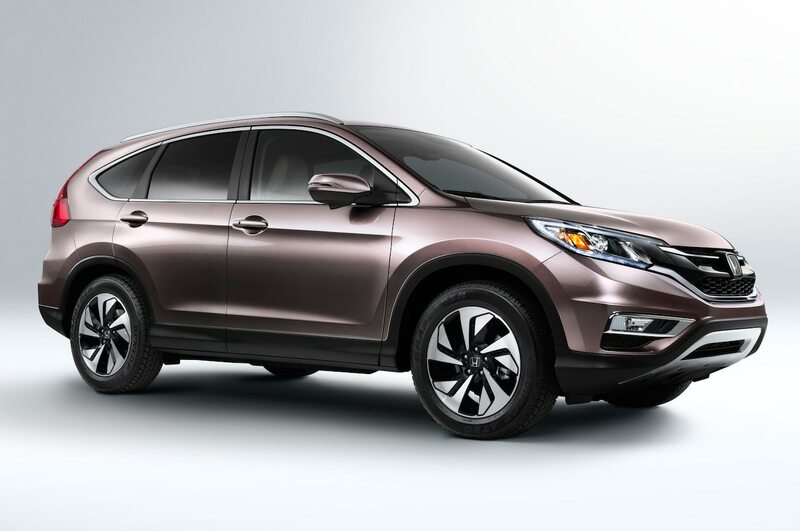 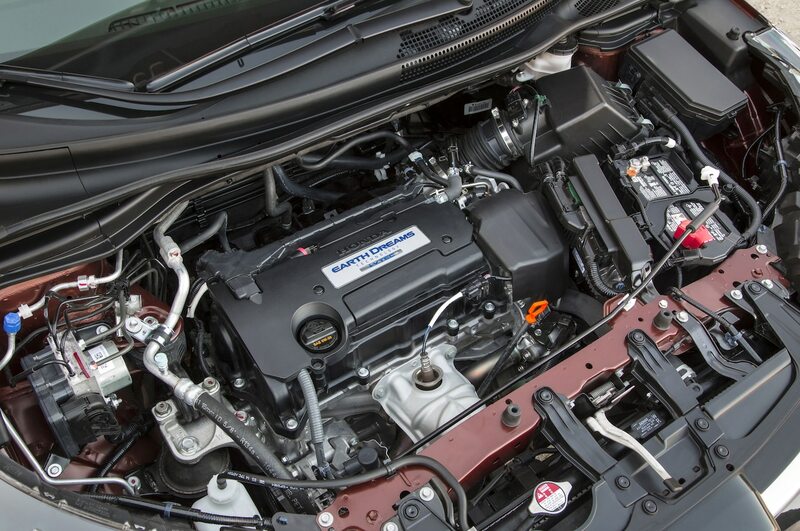 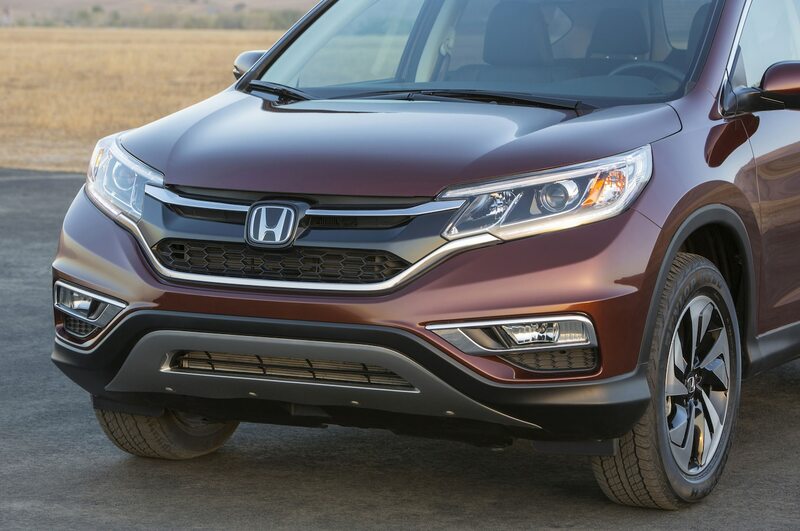 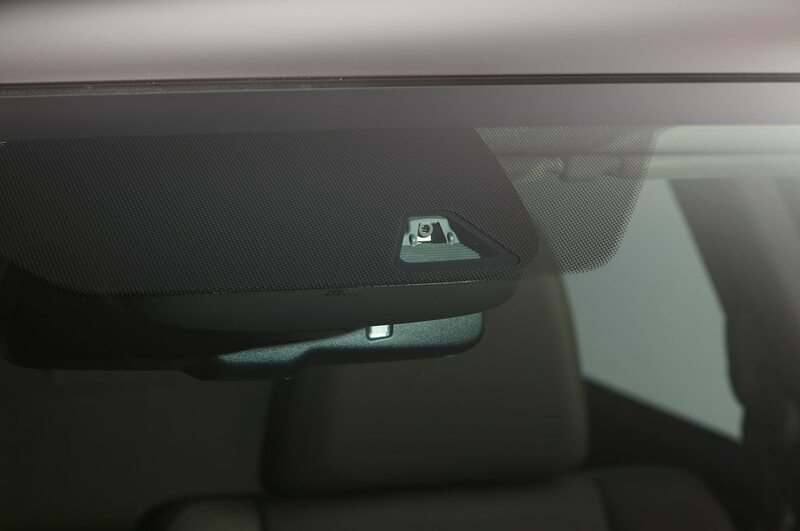 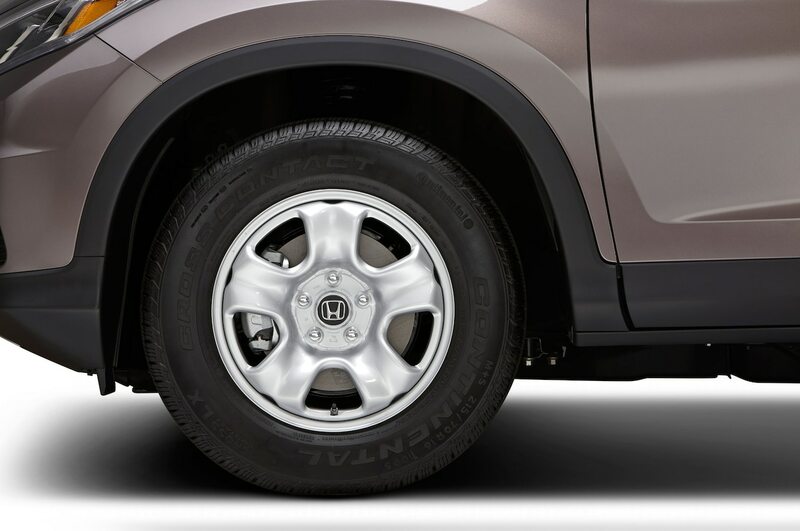 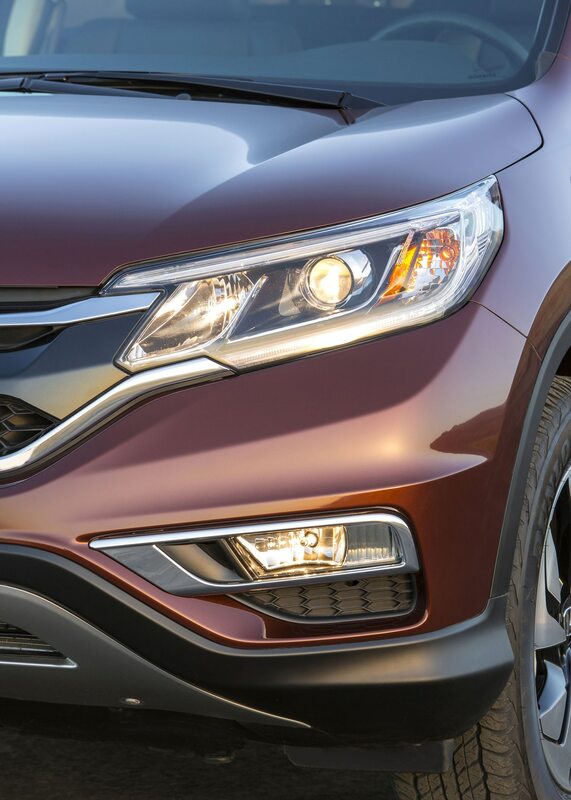 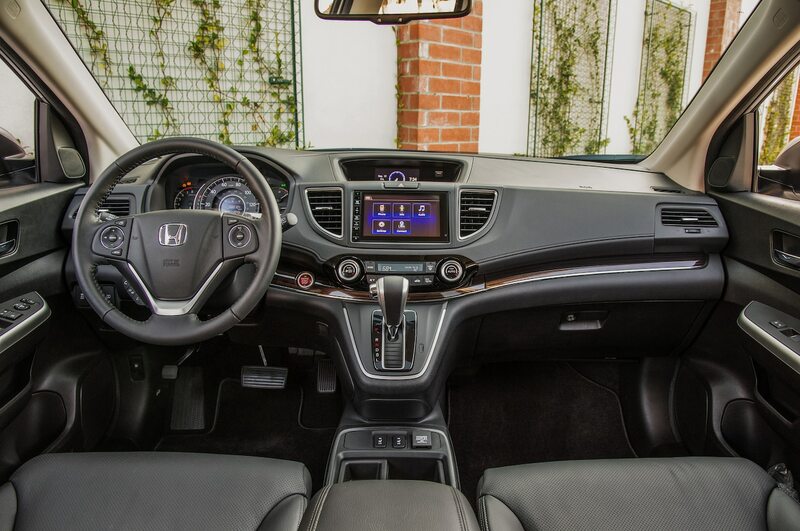 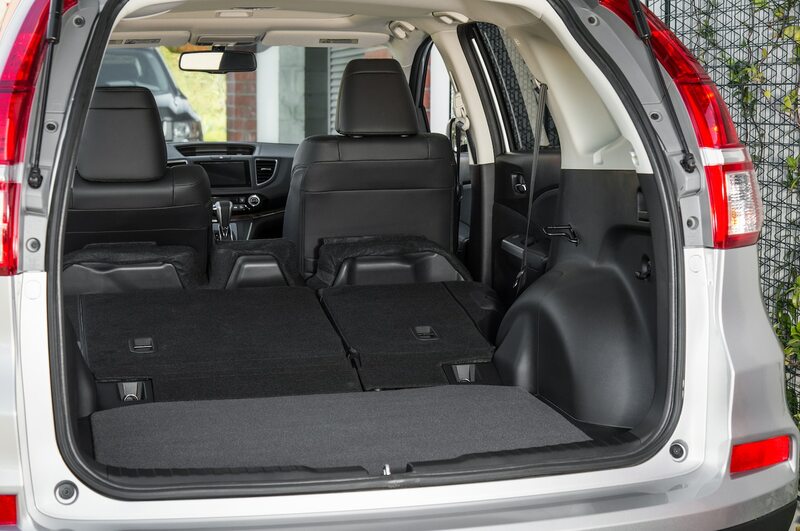 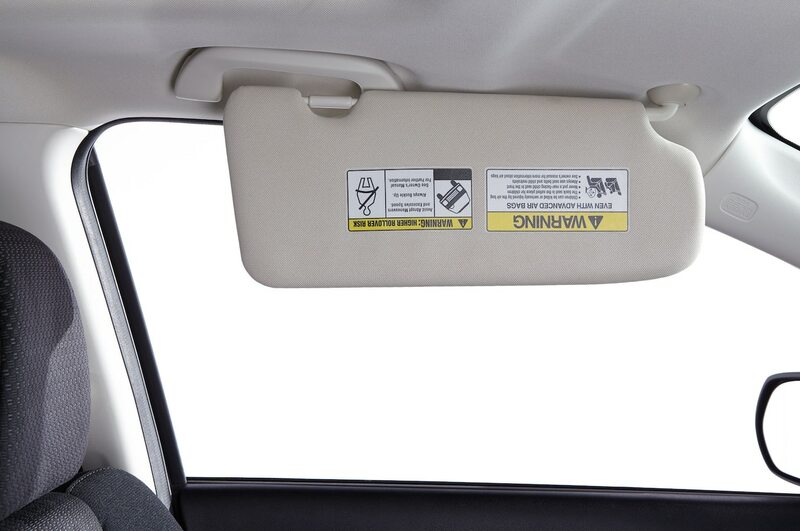 Whatever you spend on a CR-V, IntelliChoice reckons you’re getting a pretty good deal. 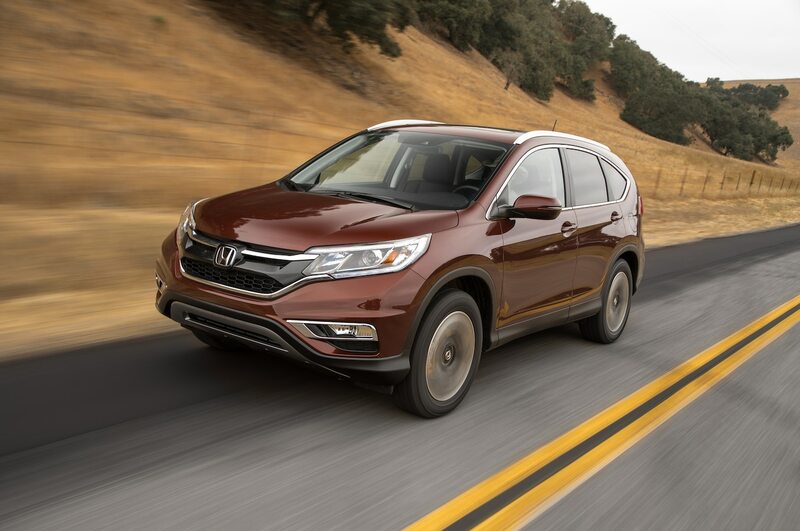 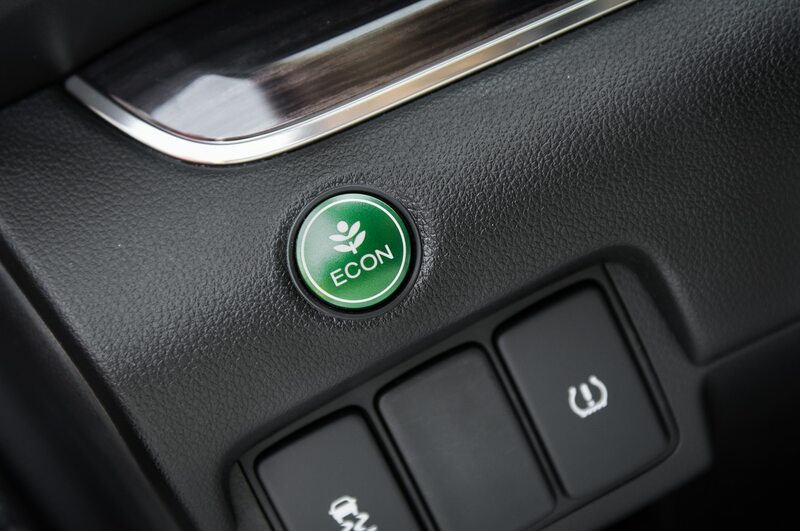 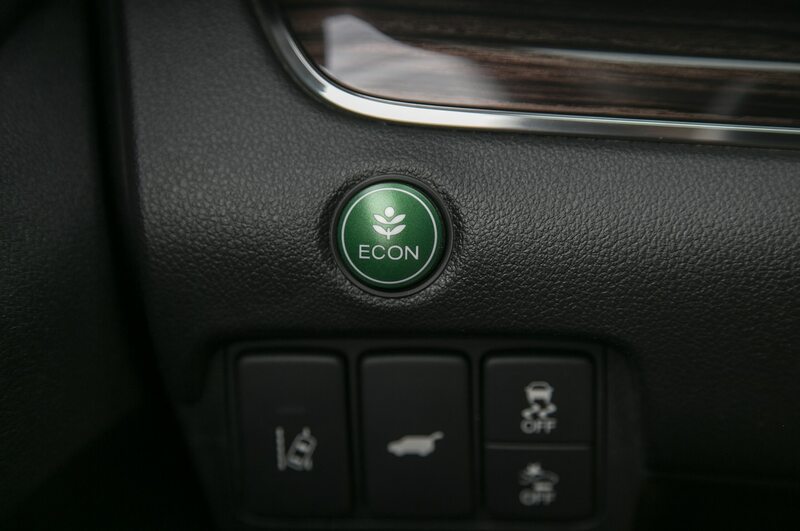 It rates the current car Excellent in terms of cost of ownership, with five-year total operating costs averaging $32K-$35K — $4300-$4500 less than the class average. 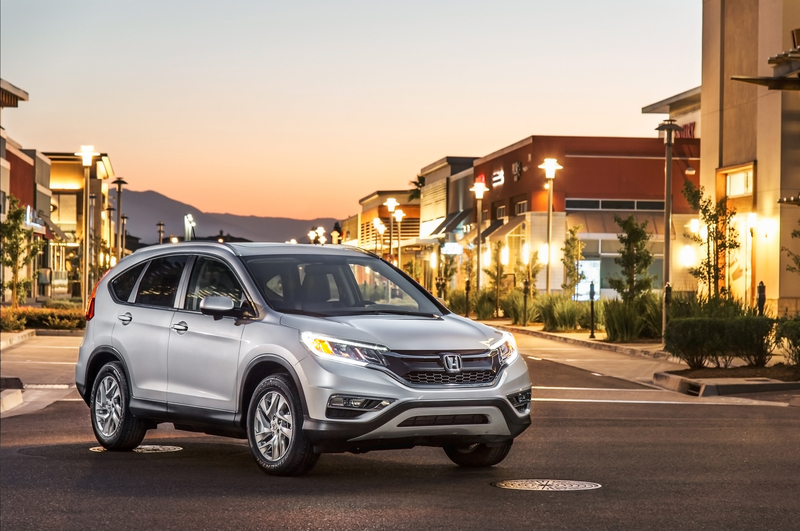 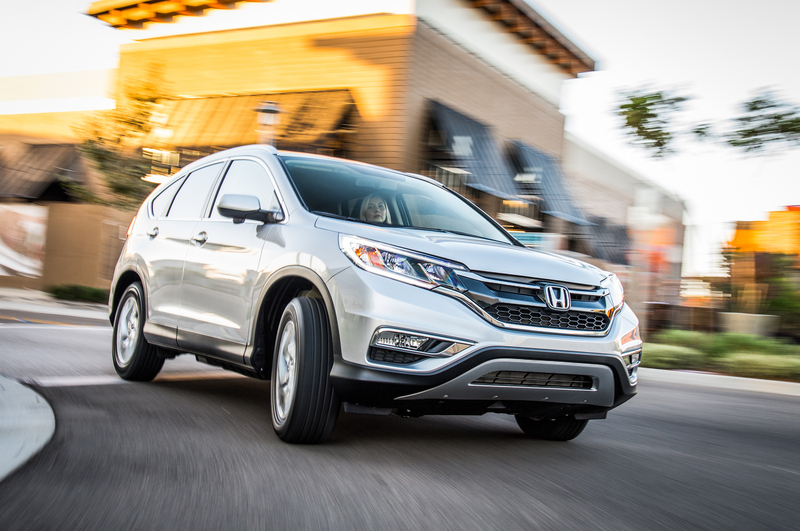 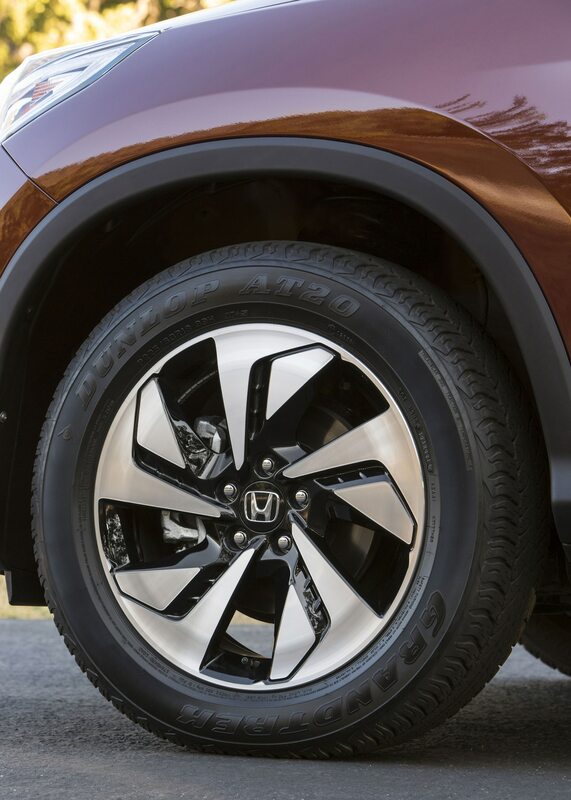 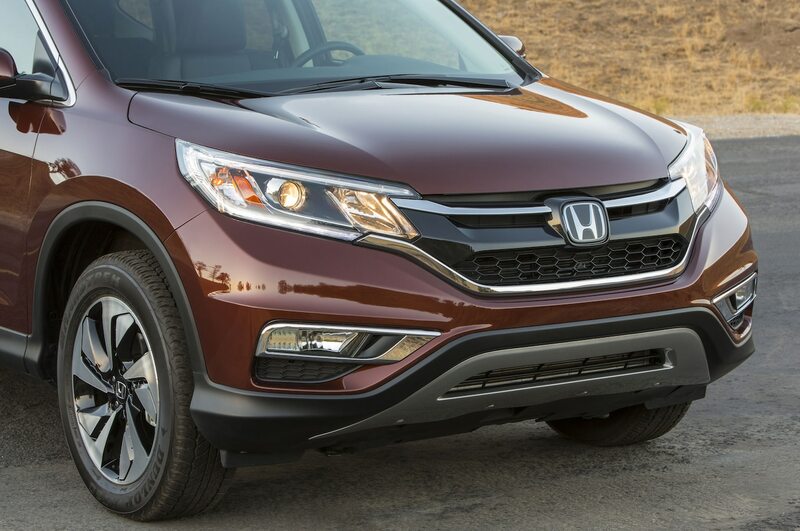 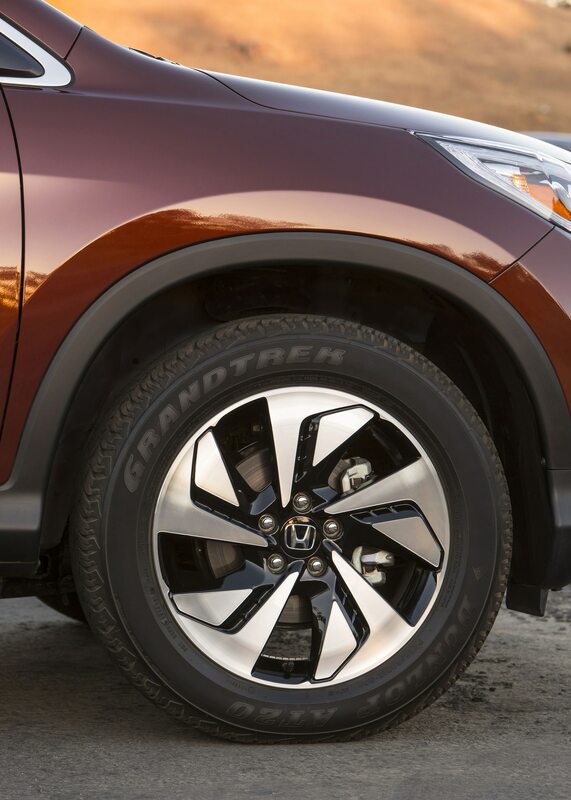 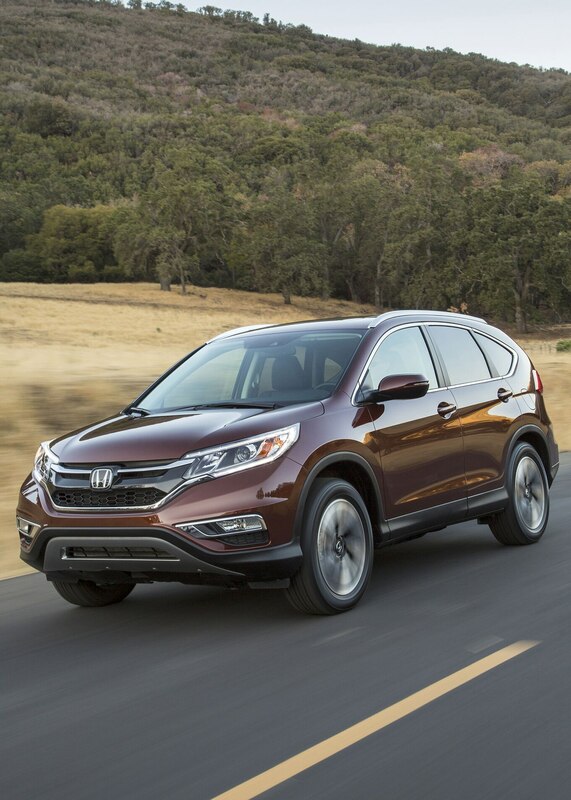 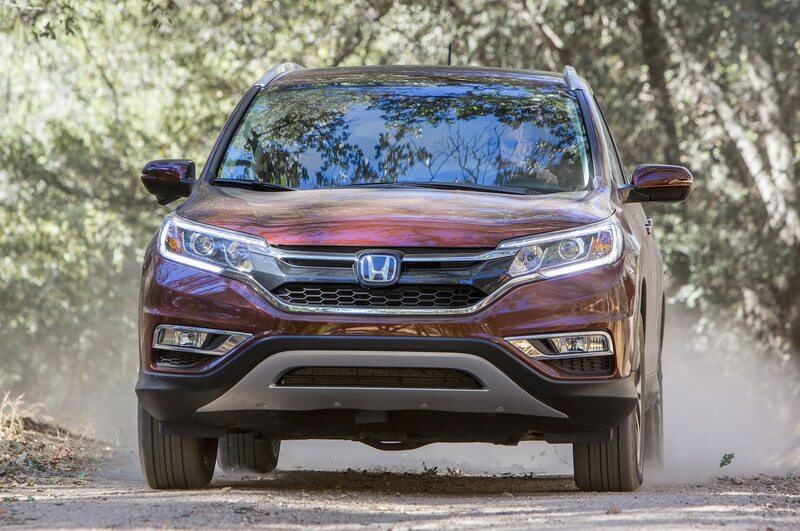 Honda’s legendary resale value is largely responsible. 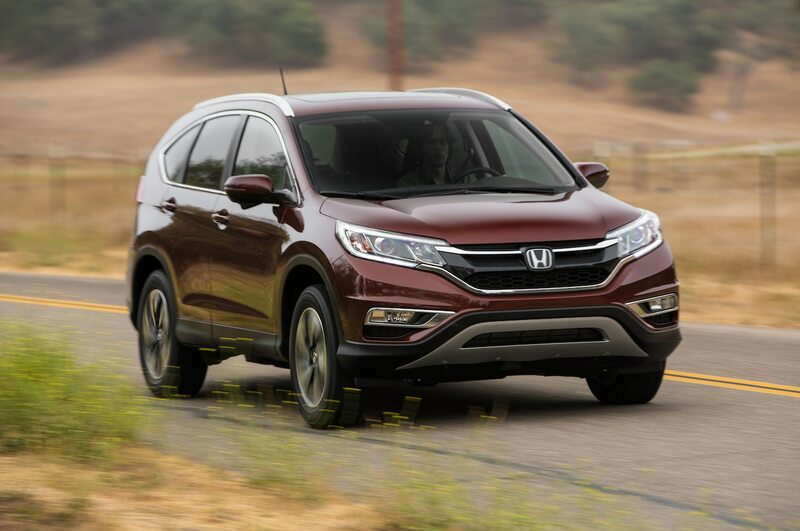 Comparing the current CR-V’s costs with the averages in our August 2013 Big Test of a similarly equipped Ford Escape, Mazda CX-5, Subaru Forester, and Toyota RAV4, the Honda depreciates 13 percent less, with maintenance, repair, and insurance costs averaging 10 percent less.